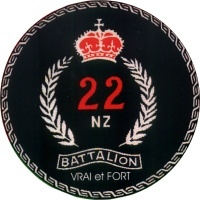 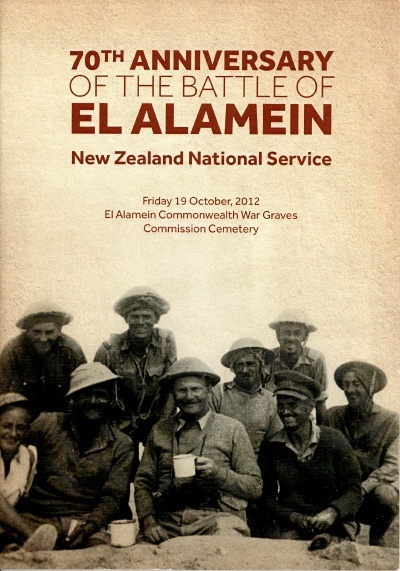 The New Zealand Division played a major role in the attack and breakout at El Alamein in October/November 1942, with 22 Battalion part of the initial phase of this campaign. 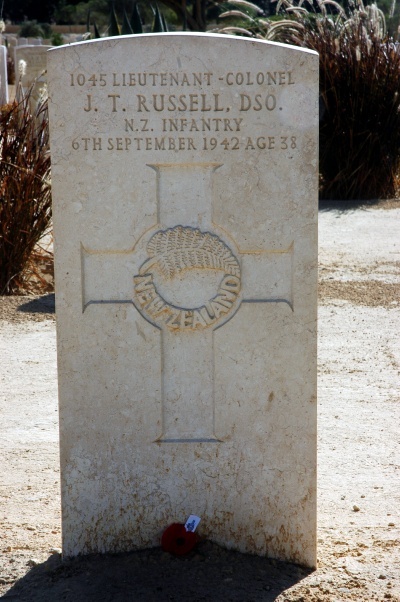 The New Zealand Division, as part of the 8th Army then chased Rommel all the way west to Tripoli. 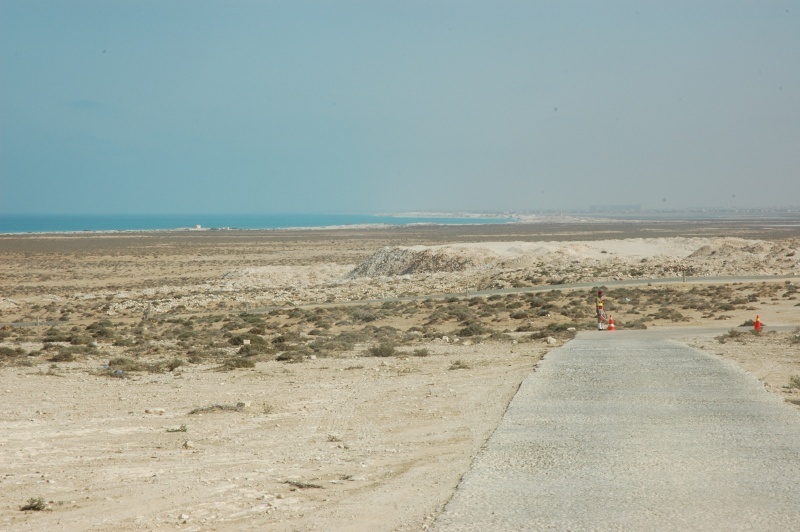 Part way through this drive to the west it was decided that 22 Battalion would be withdrawn. 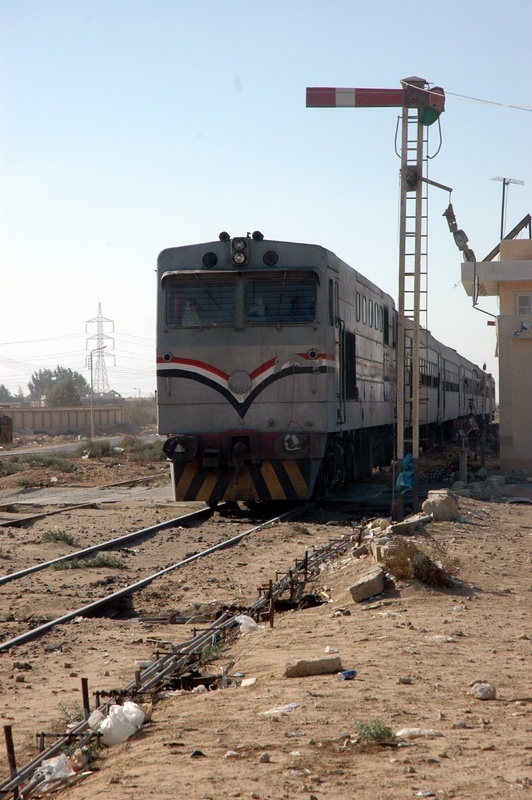 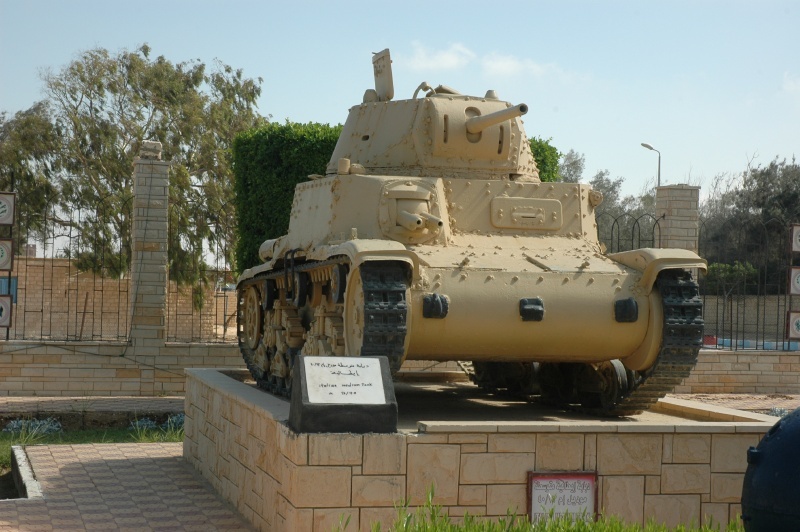 The Battalion returned to Maadi Camp in Cairo and was refitted as a highly mobile, motorised battalion - 22 (Motorised) Battalion - with its own transport, armoured cars and support. 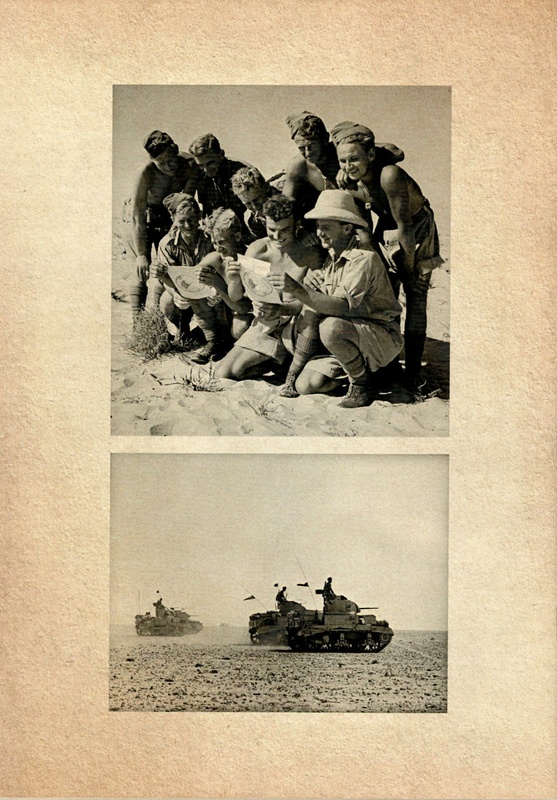 As a result the Battalion did not play any further part in the final phases of the battle in North Africa. 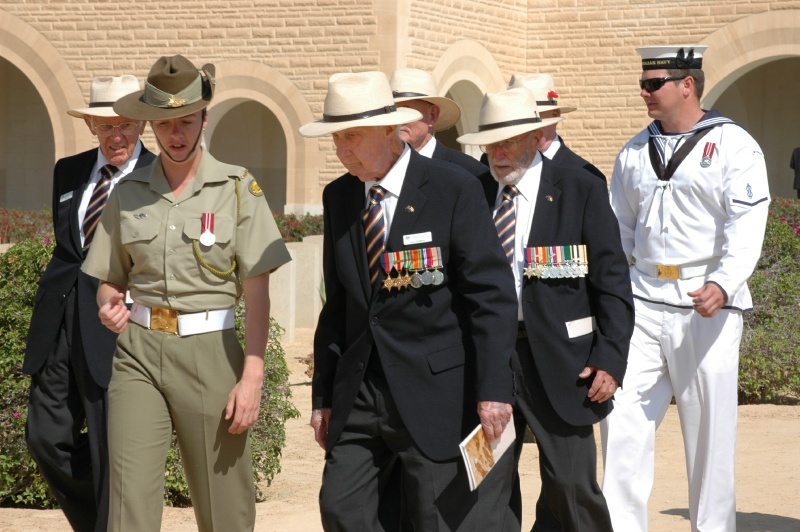 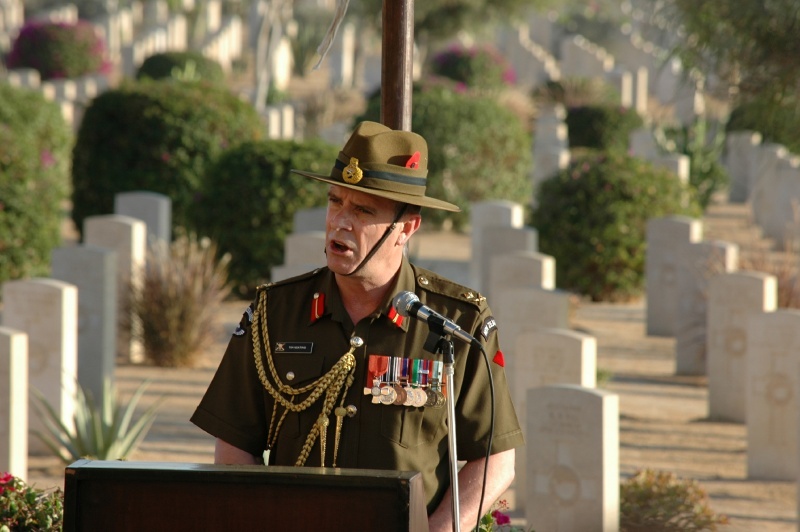 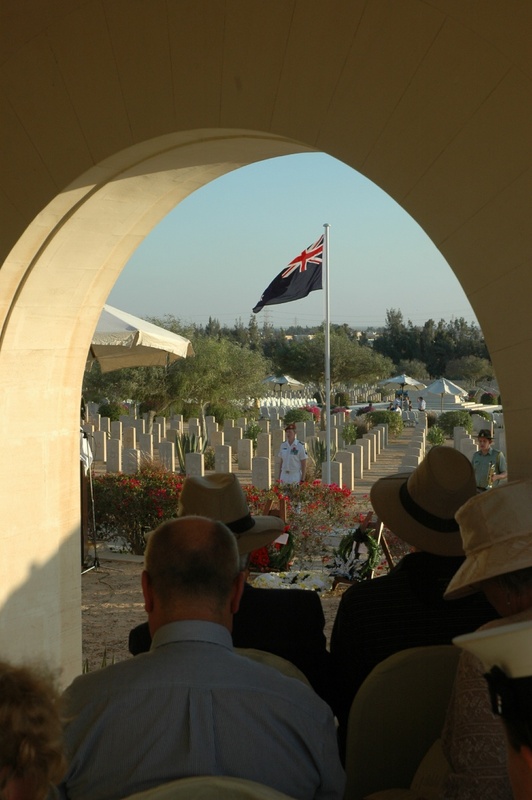 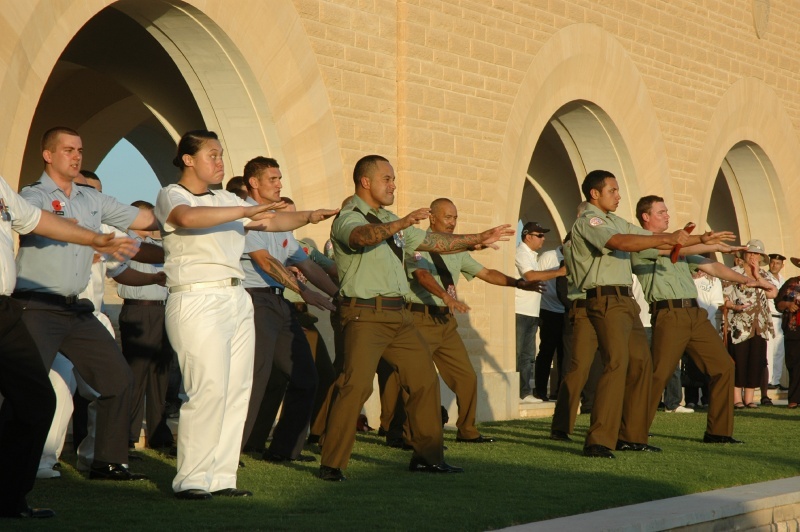 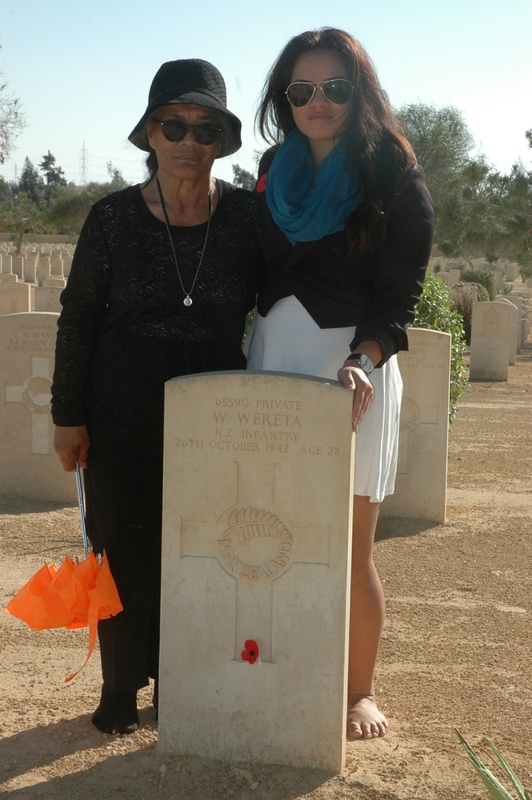 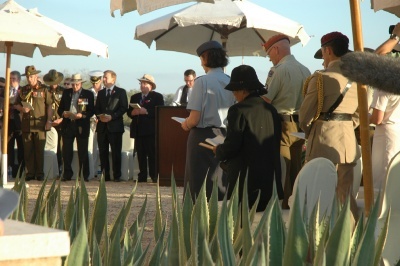 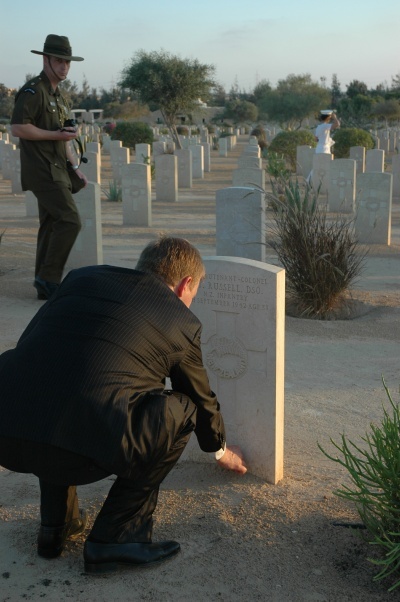 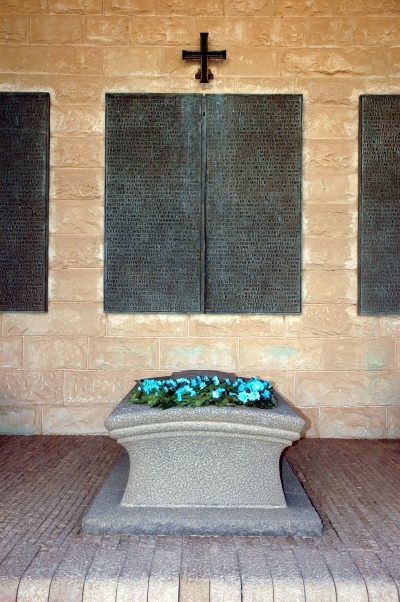 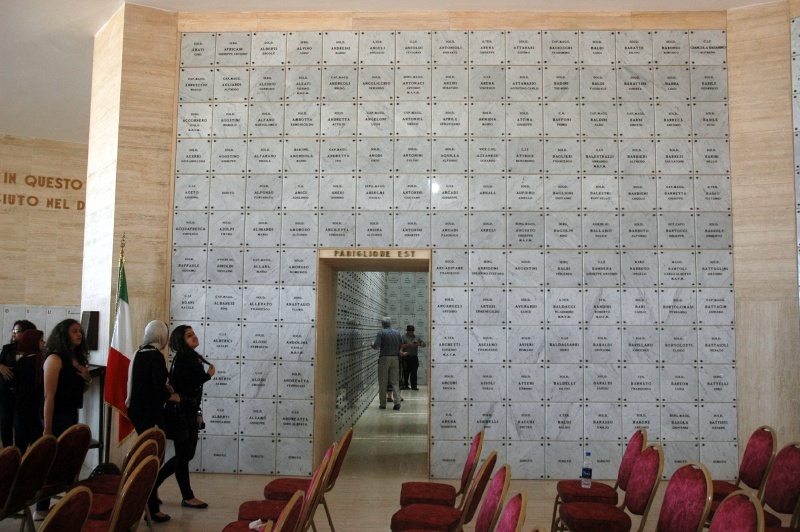 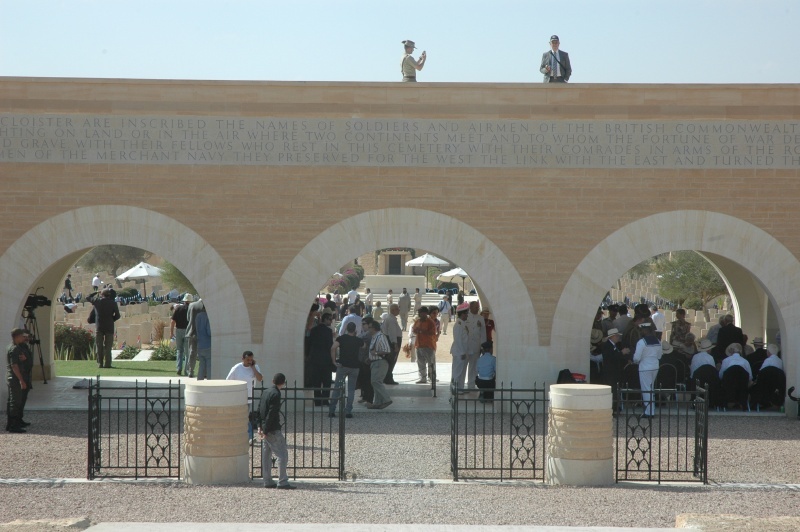 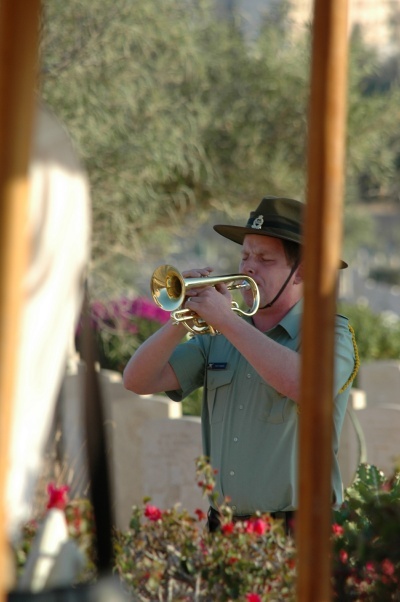 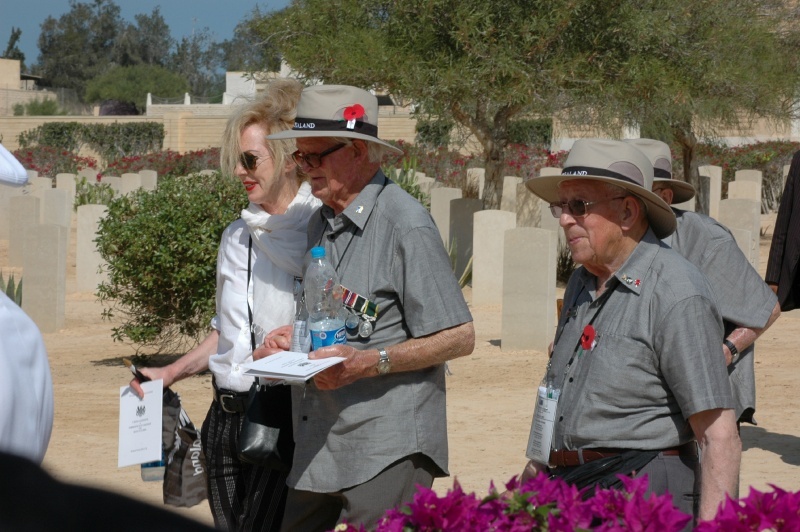 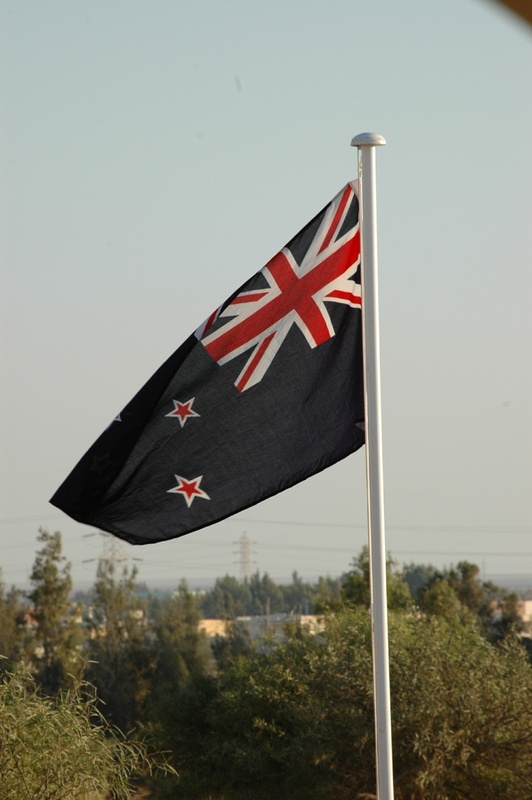 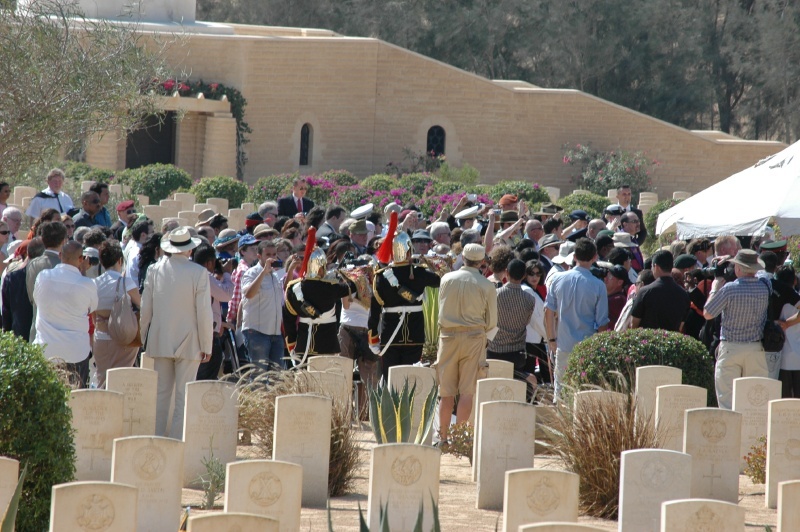 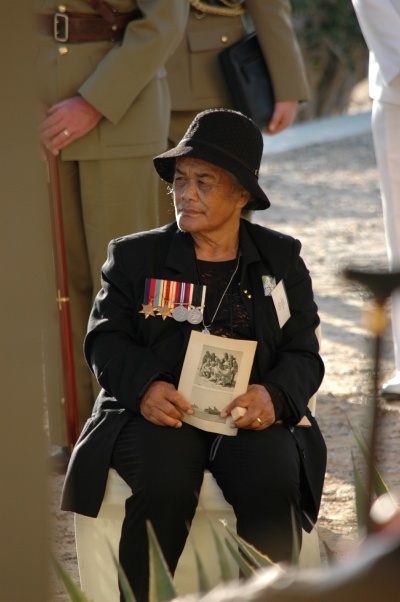 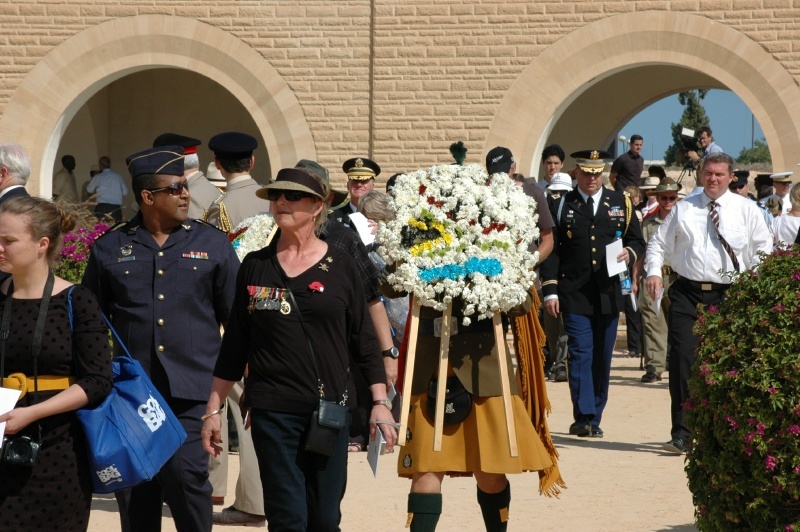 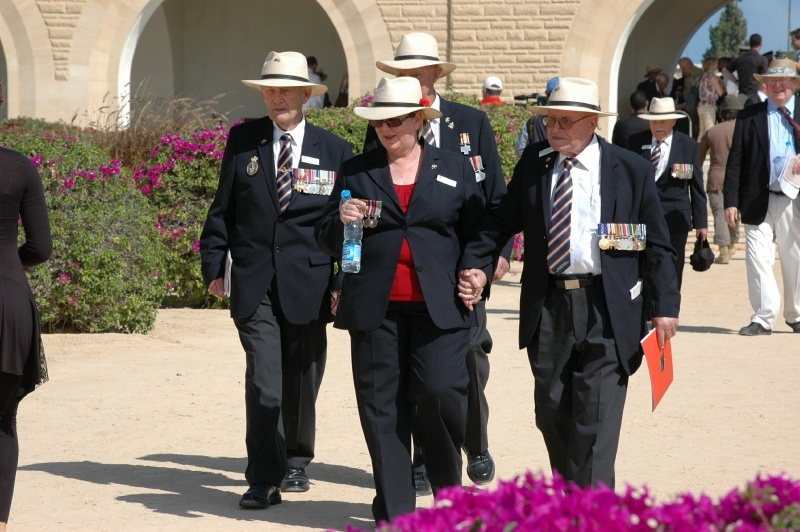 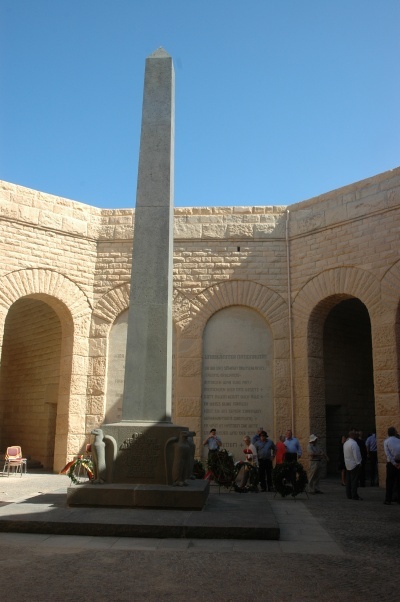 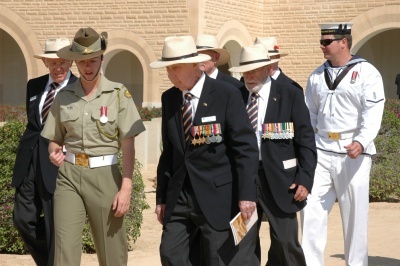 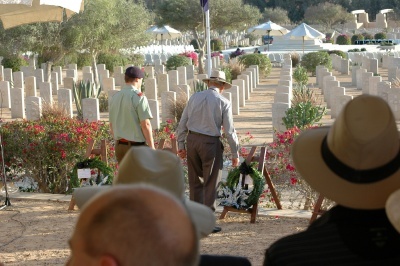 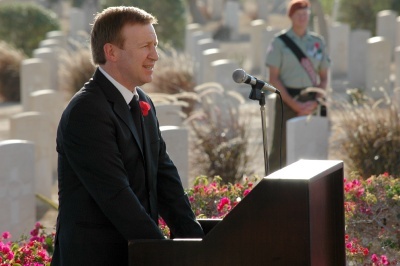 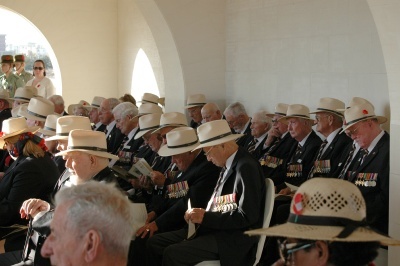 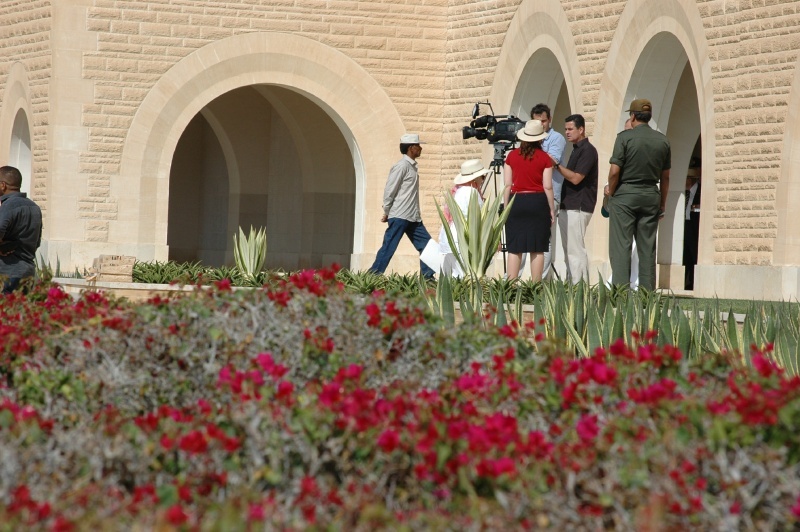 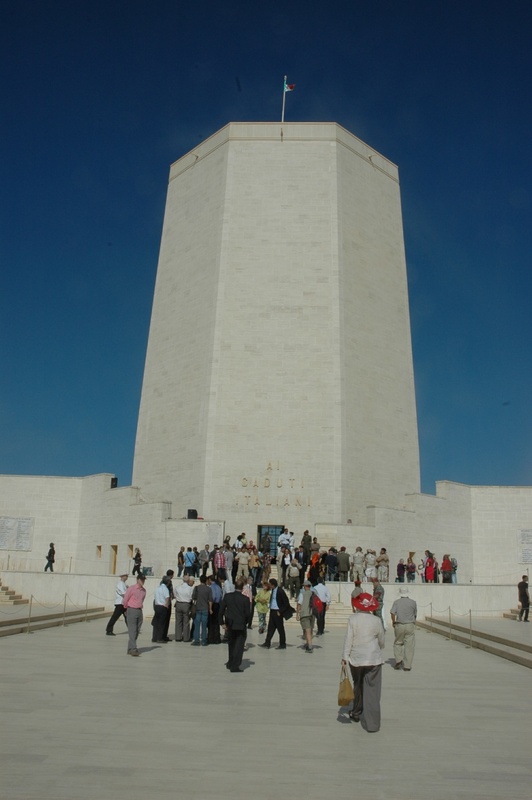 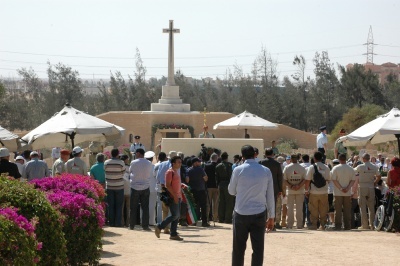 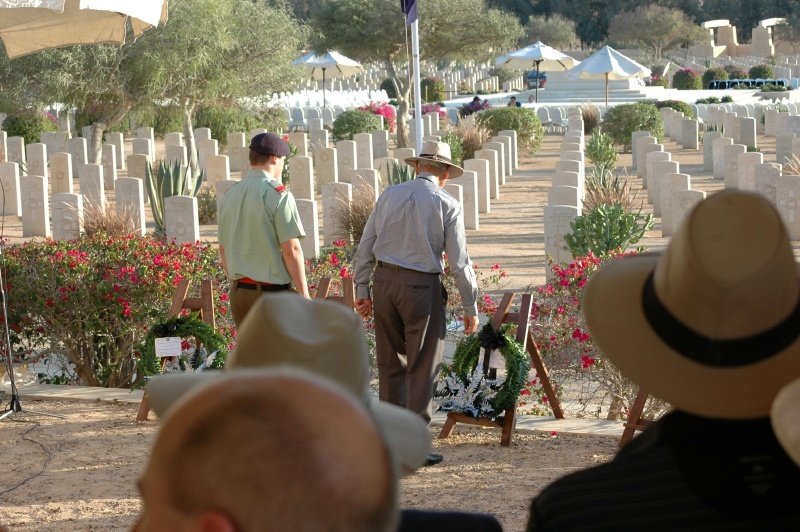 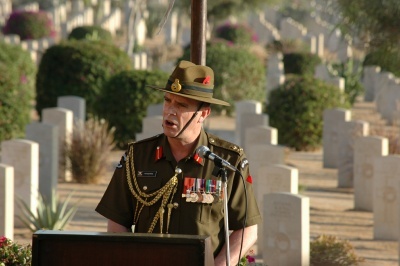 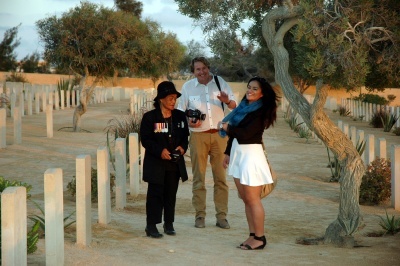 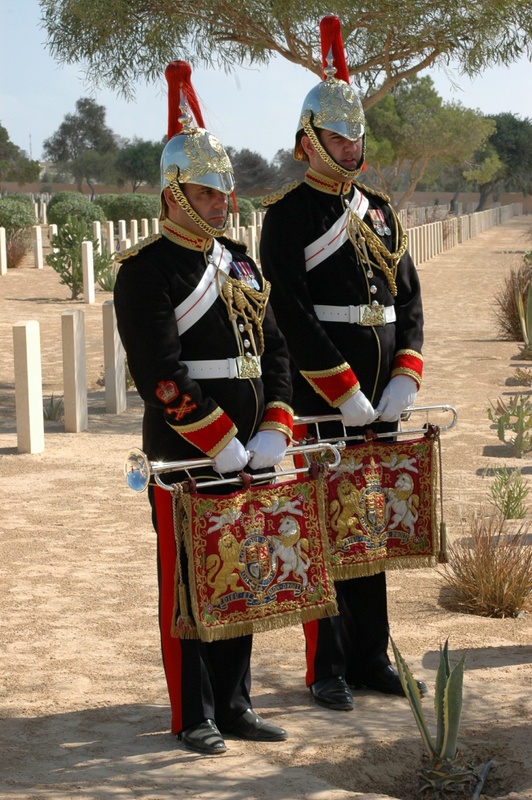 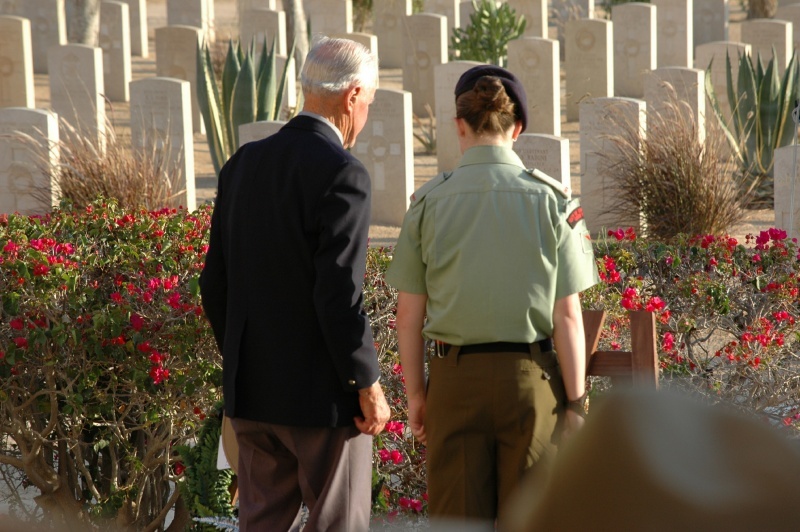 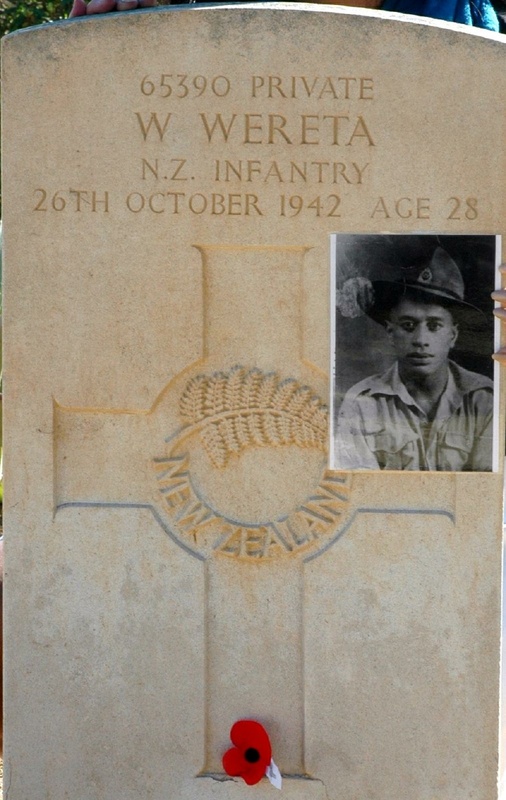 Nearly 2,000 New Zealanders are buried or commemorated at the Commonwealth Cemetery at El Alamein. 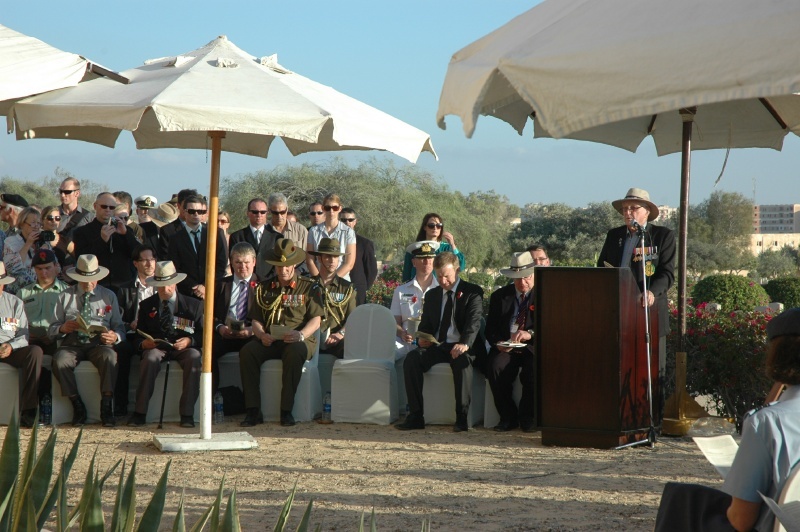 It is the site of annual commemorations, but this year marked the 70th anniversary. 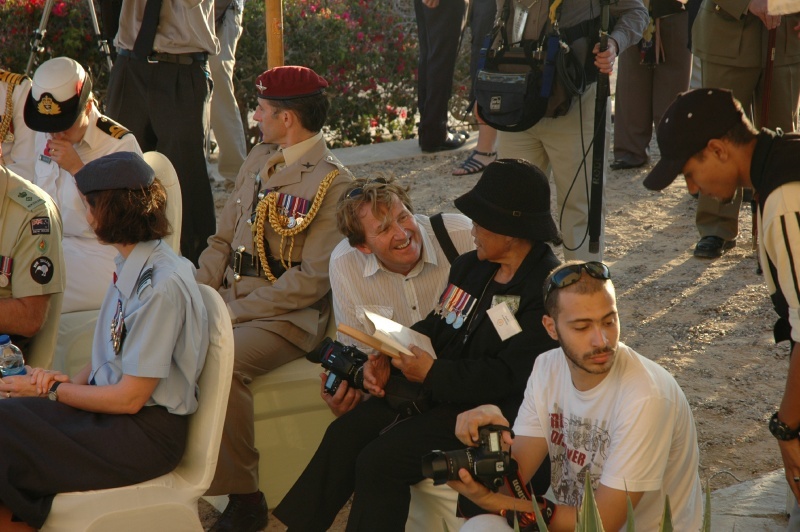 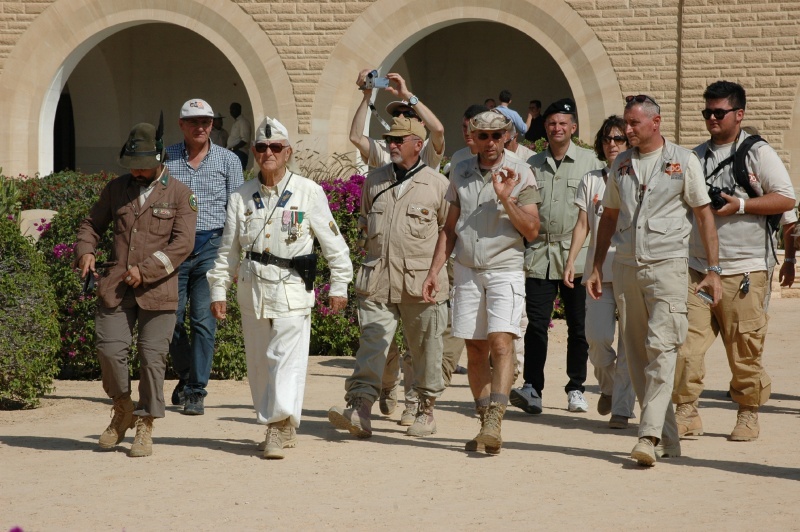 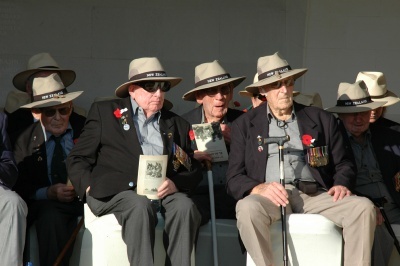 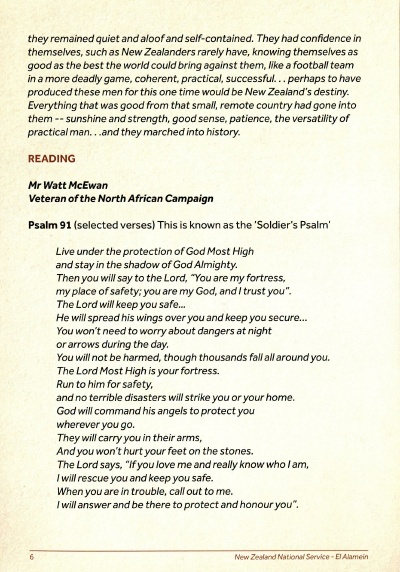 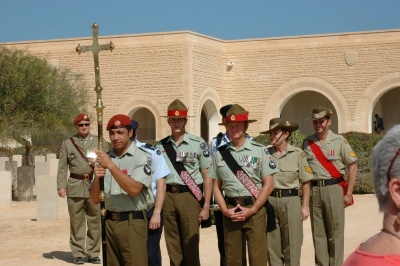 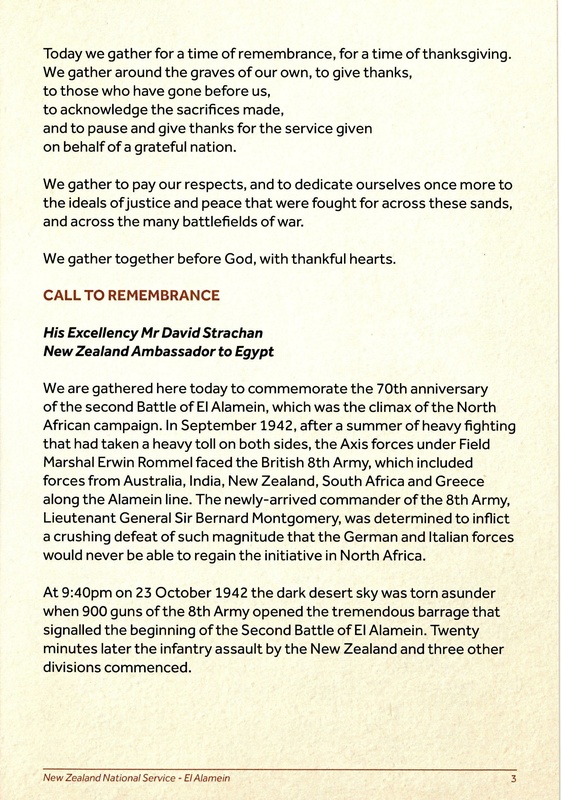 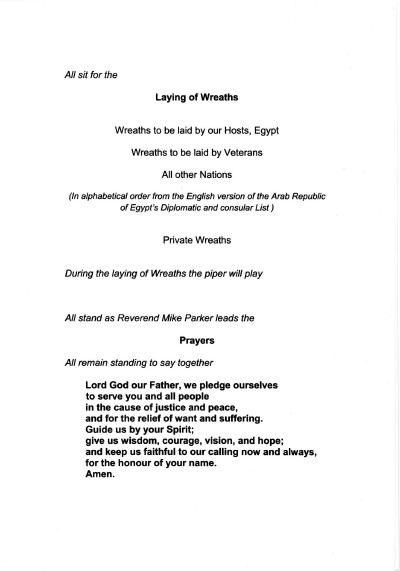 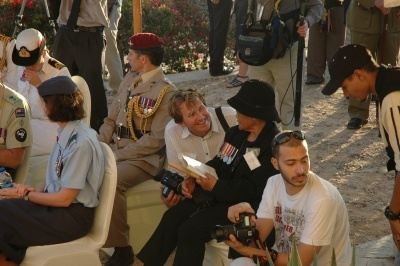 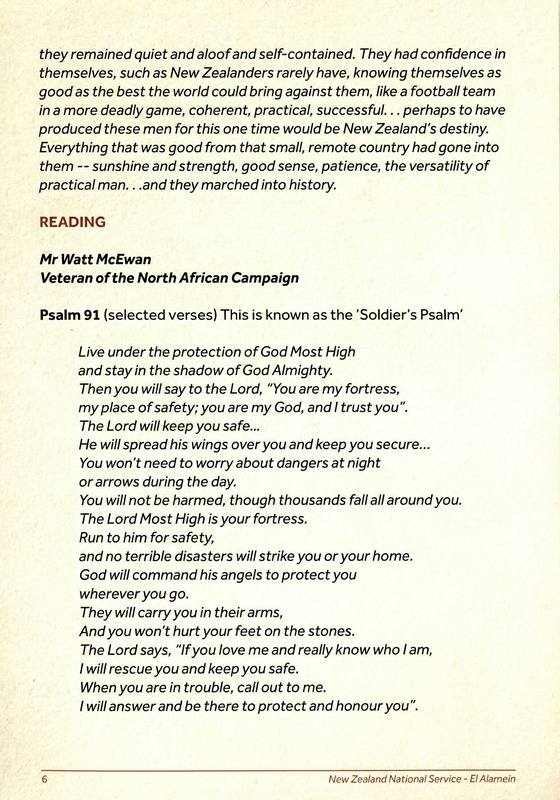 The New Zealand Government agreed to fund the return to El Alamein of all the veterans who were able to make the pilgrimage. Finally, 22 were able to attend the ceremony. 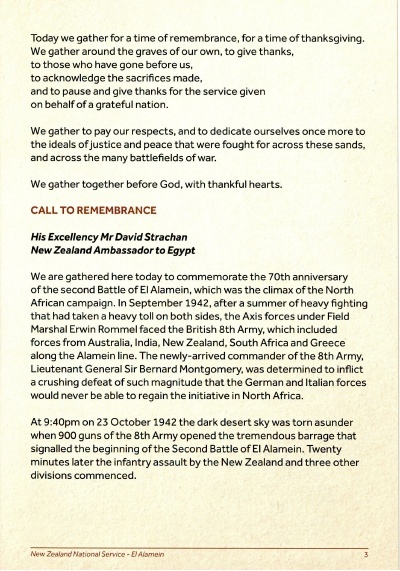 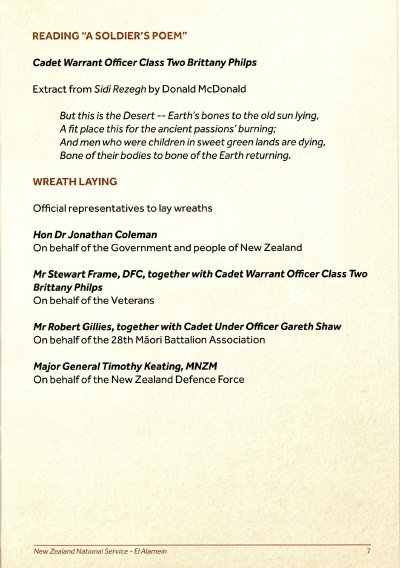 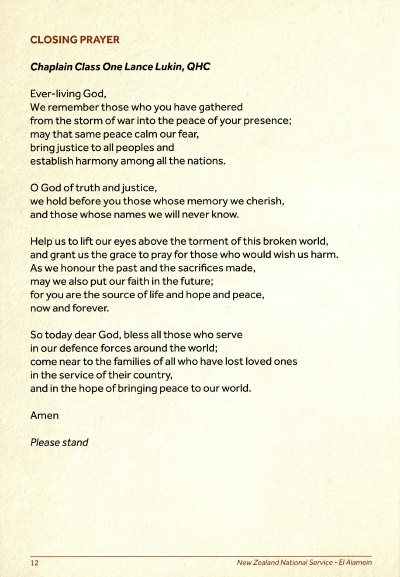 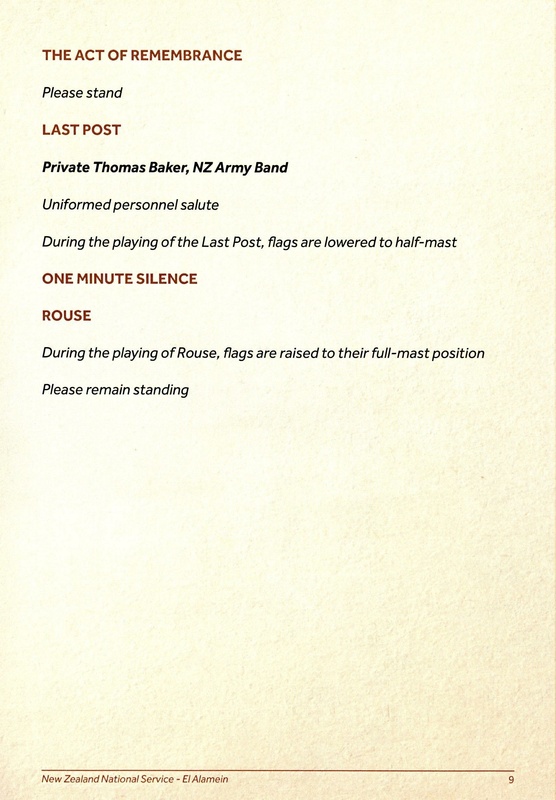 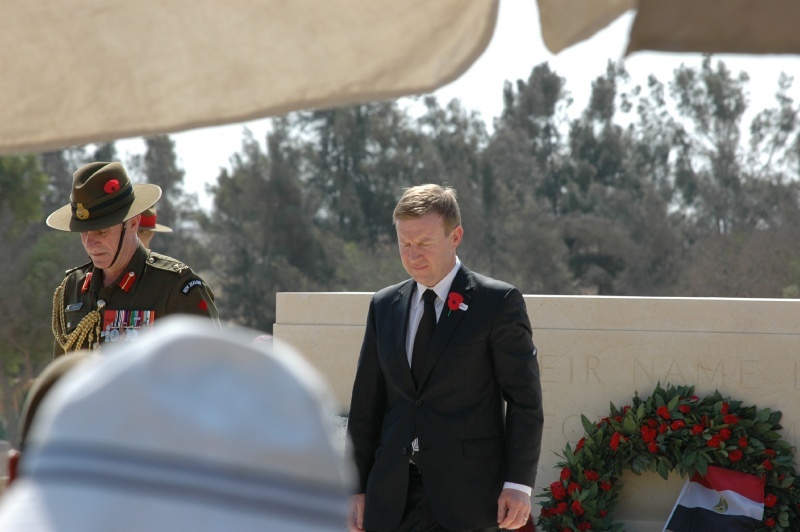 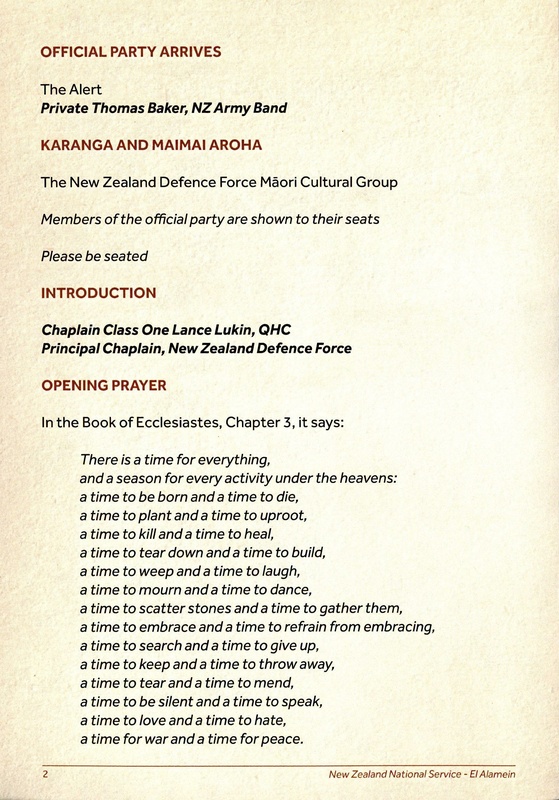 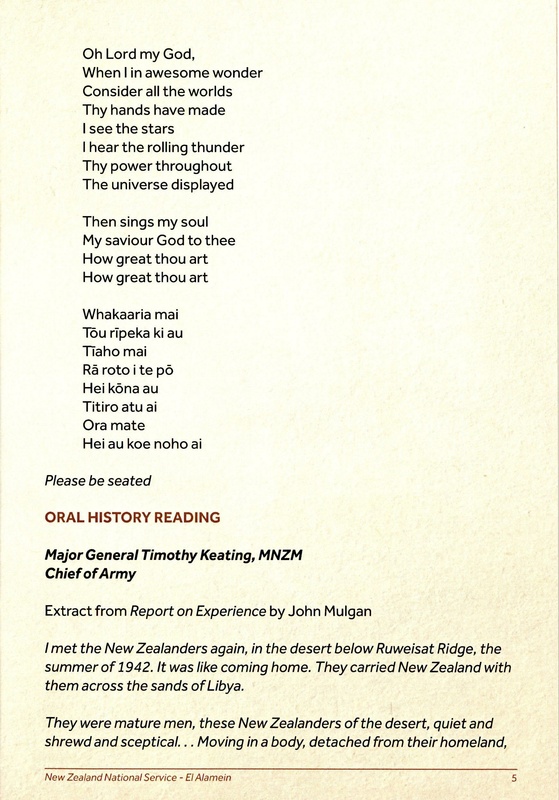 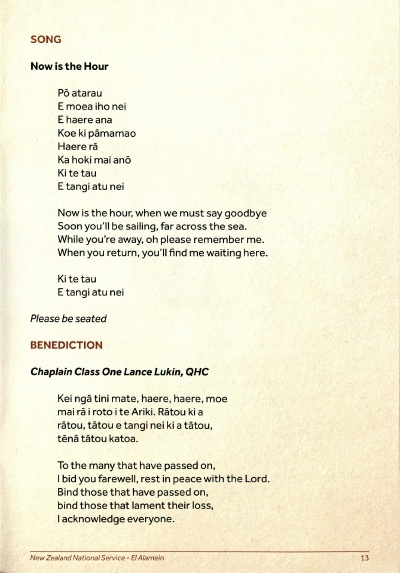 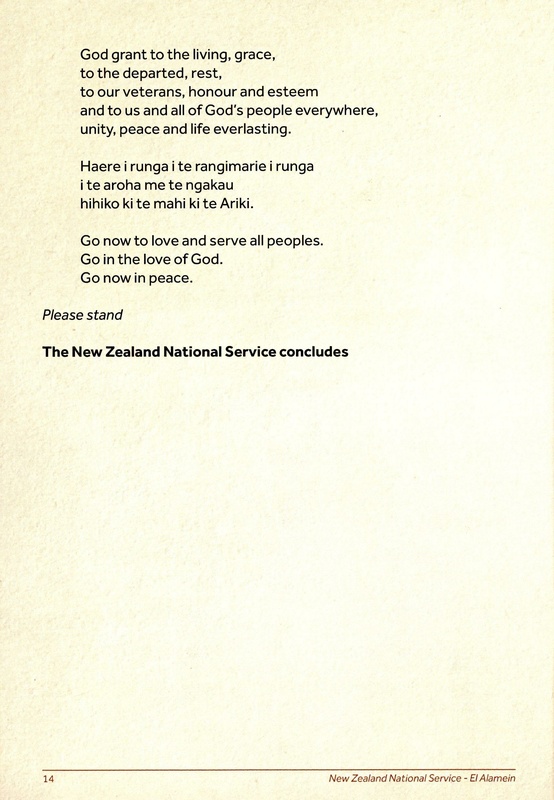 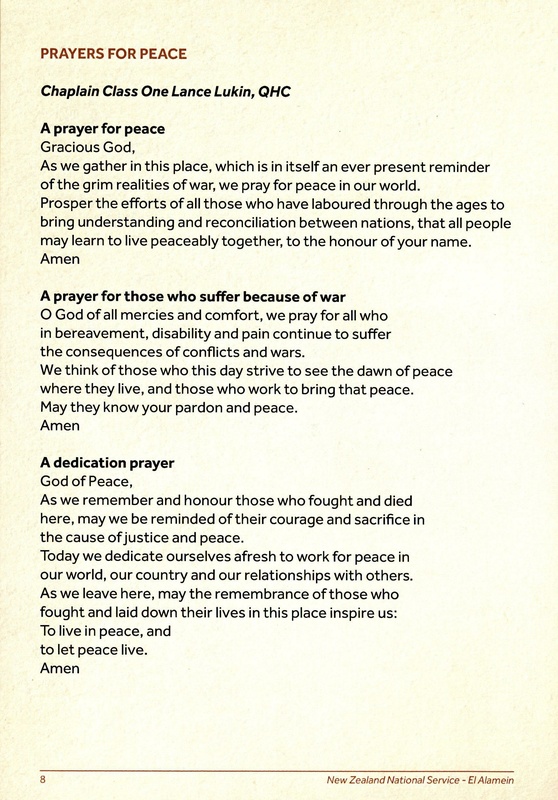 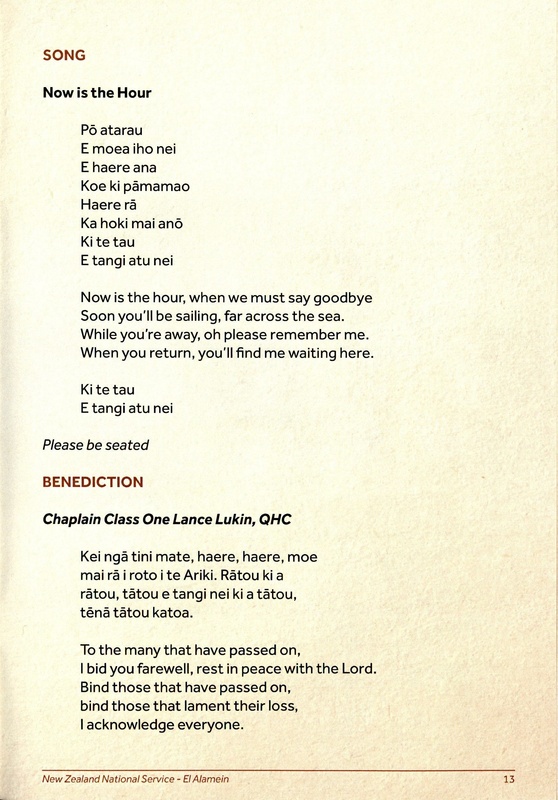 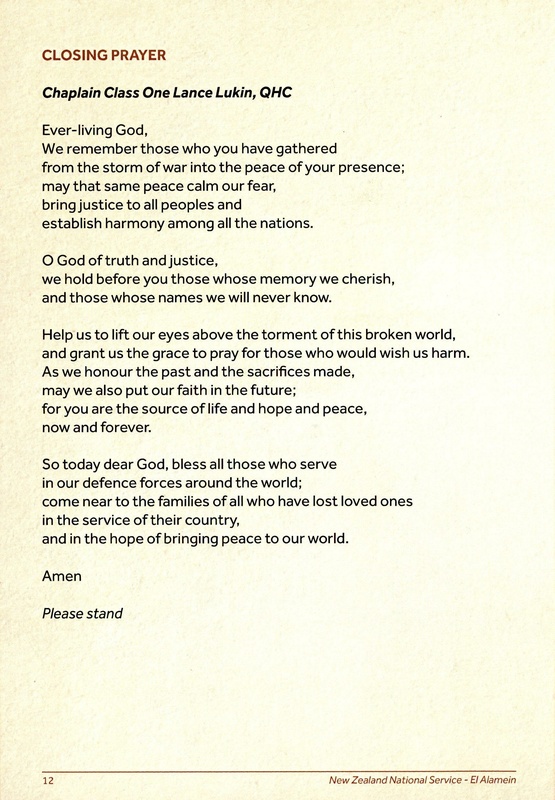 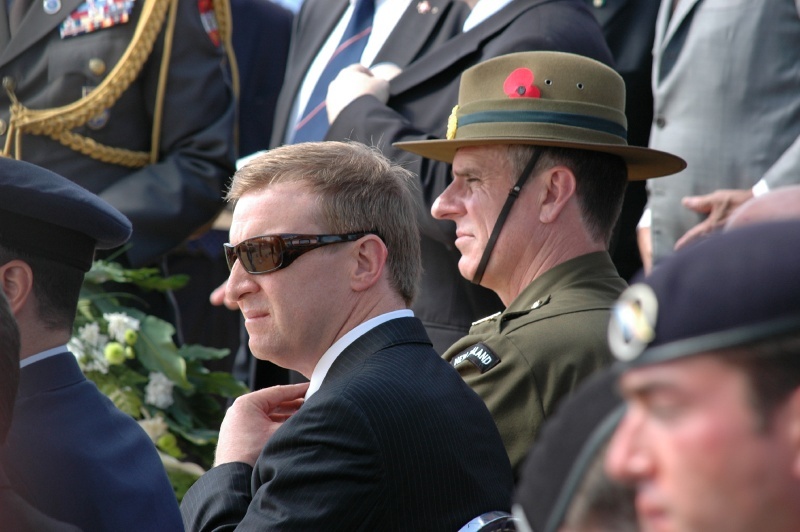 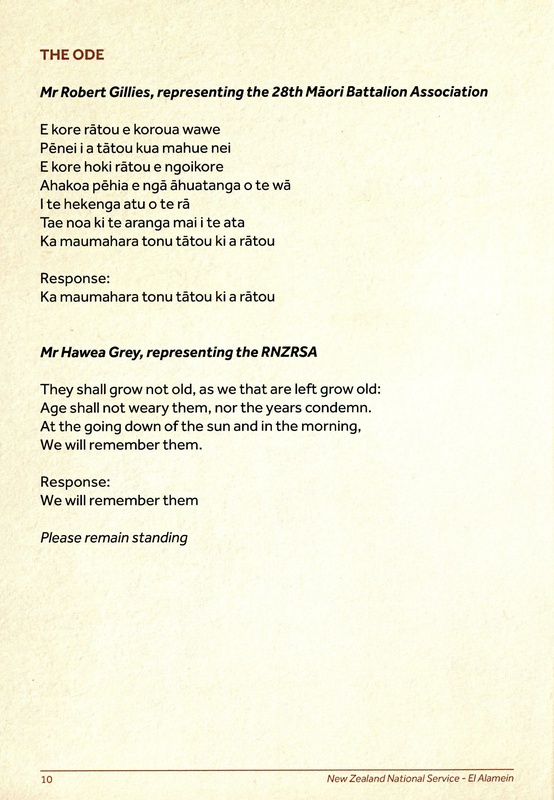 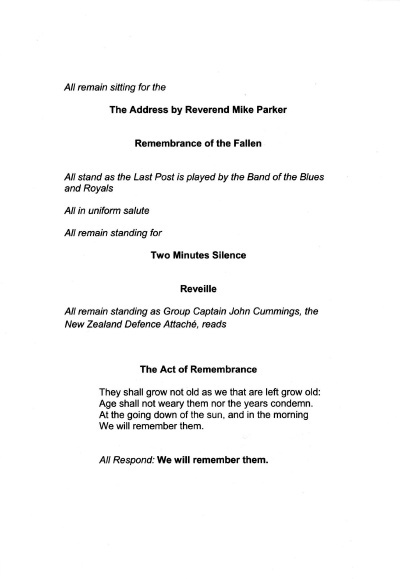 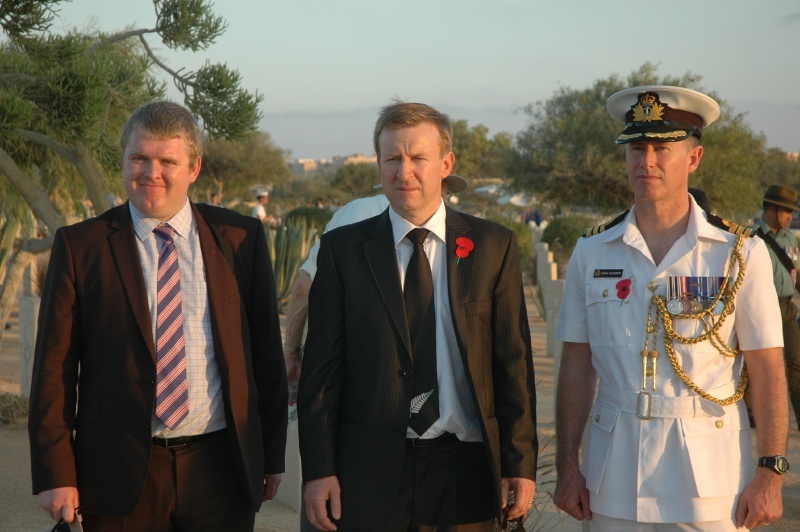 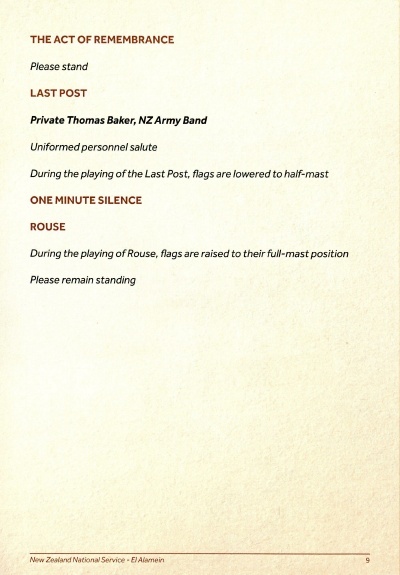 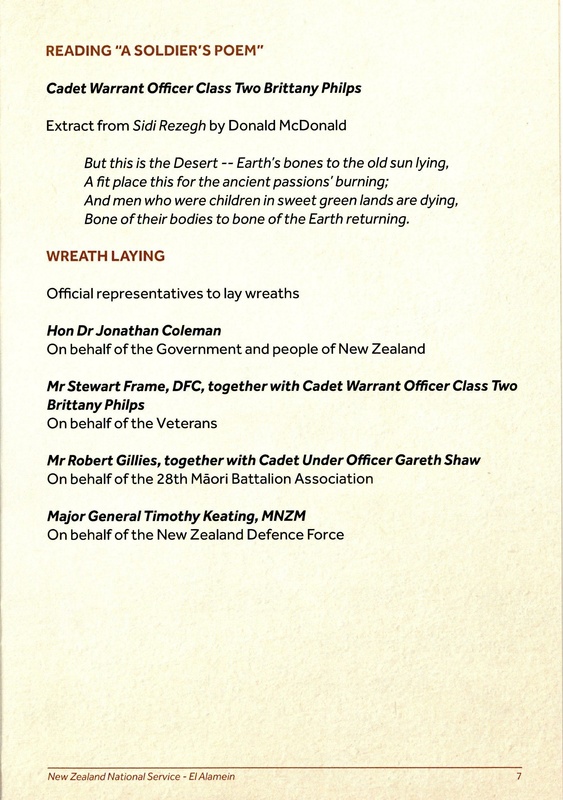 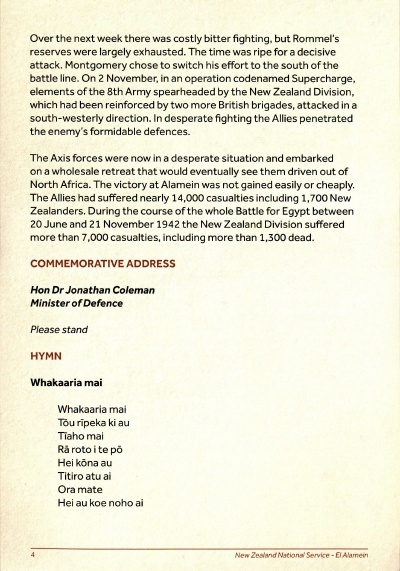 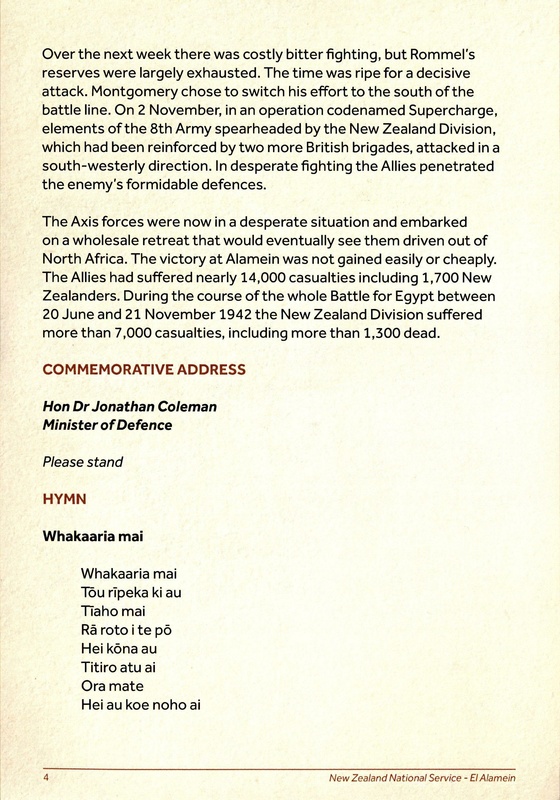 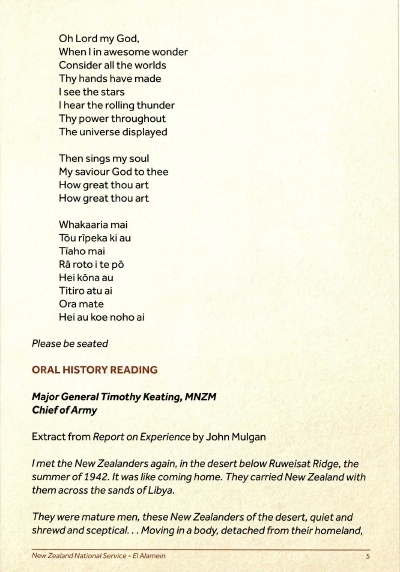 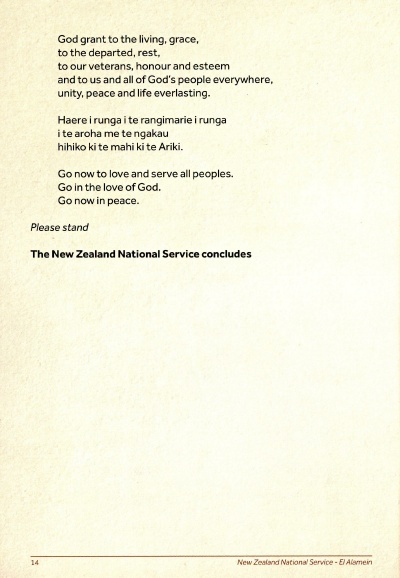 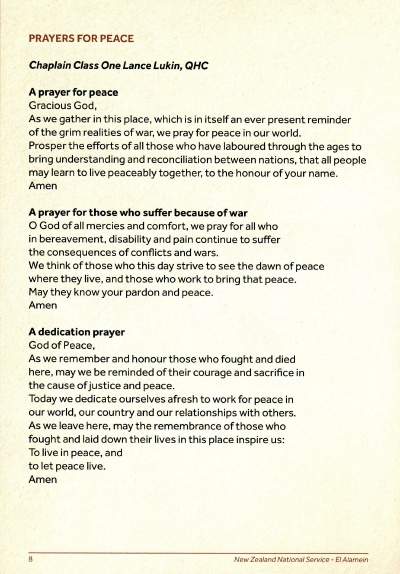 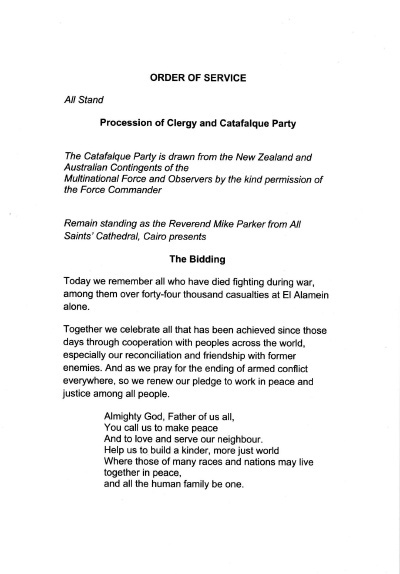 I attended the commemoration service in a private capacity, along with 15 other New Zealanders. 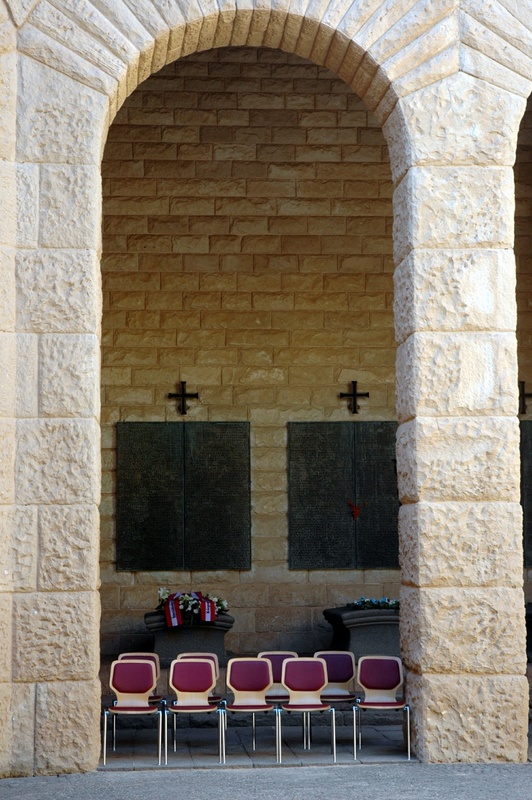 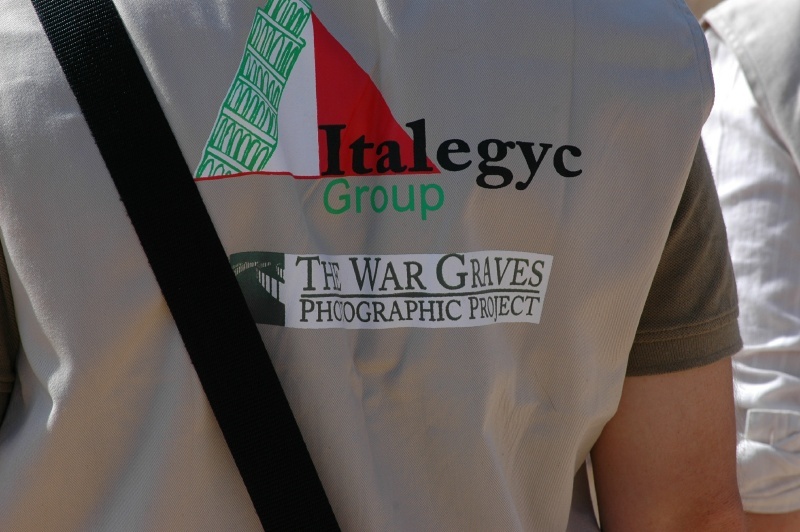 I was able to honour the efforts of the 22nd Battalion and to photograph the graves of the men buried there, and those commemorated on the wall of the memorial. 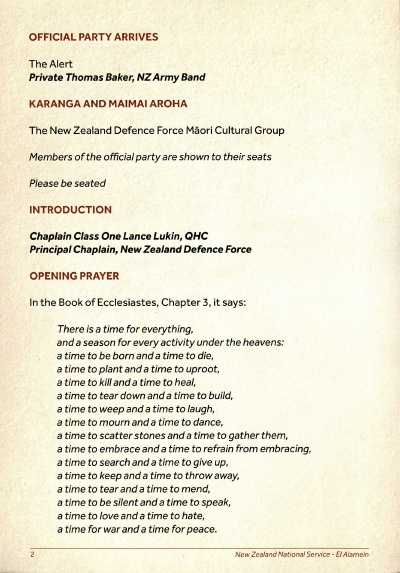 There were two services, a small intimate one for New Zealand on the Friday and a large international service on Saturday. 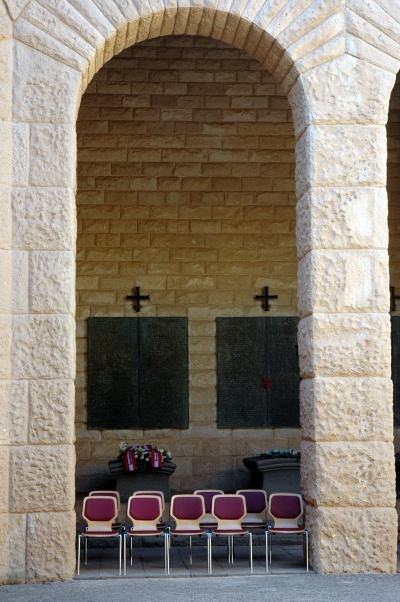 My impressions of the services are recorded here. 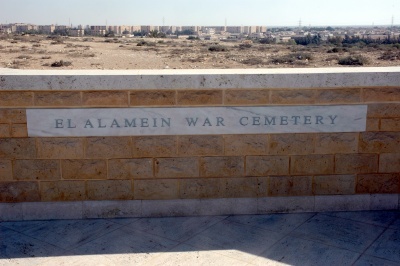 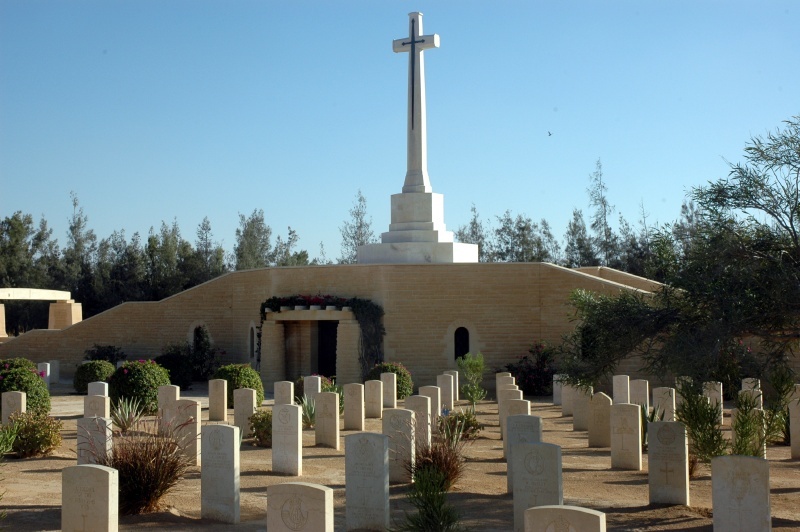 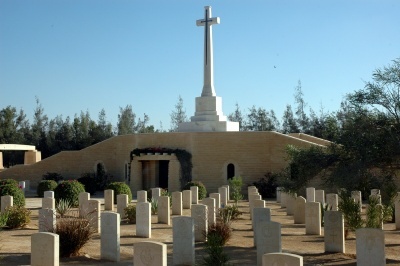 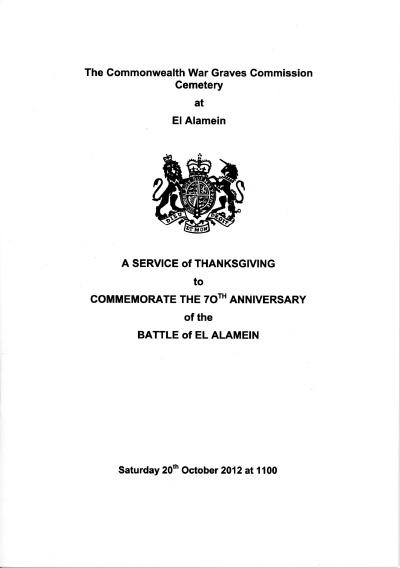 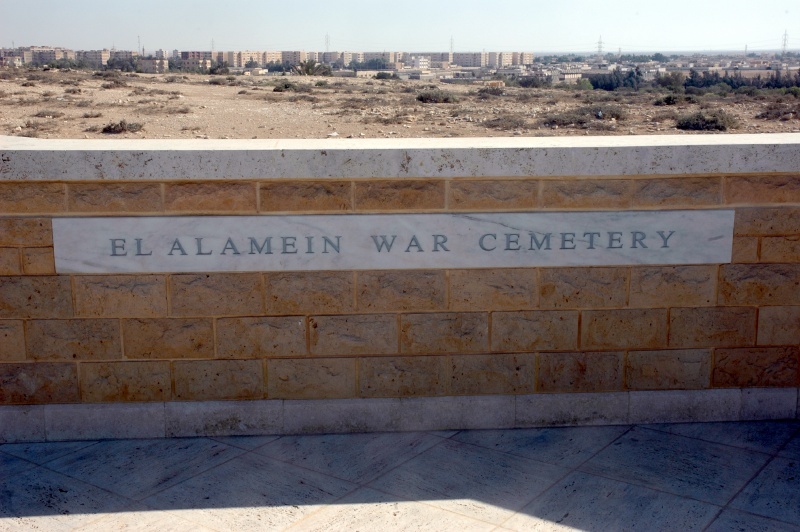 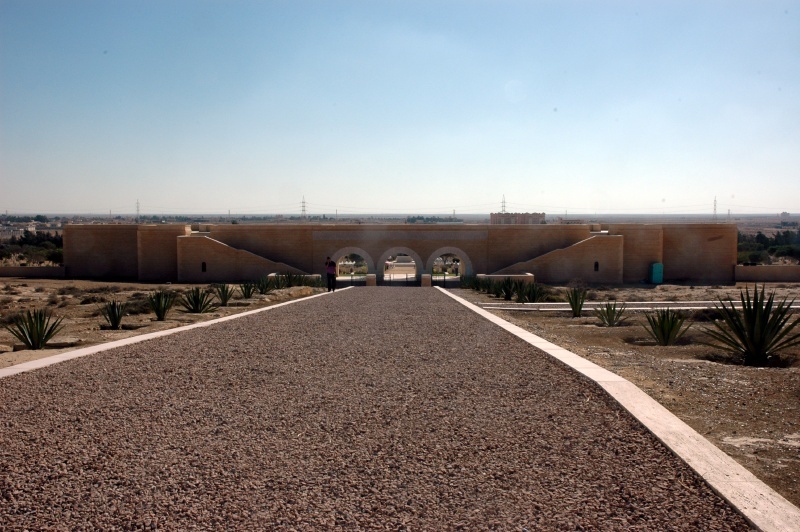 The Commonwealth Cemetery at El Alamein is one of the largest worldwide, with over 20,000 casualties buried or recorded at the site. 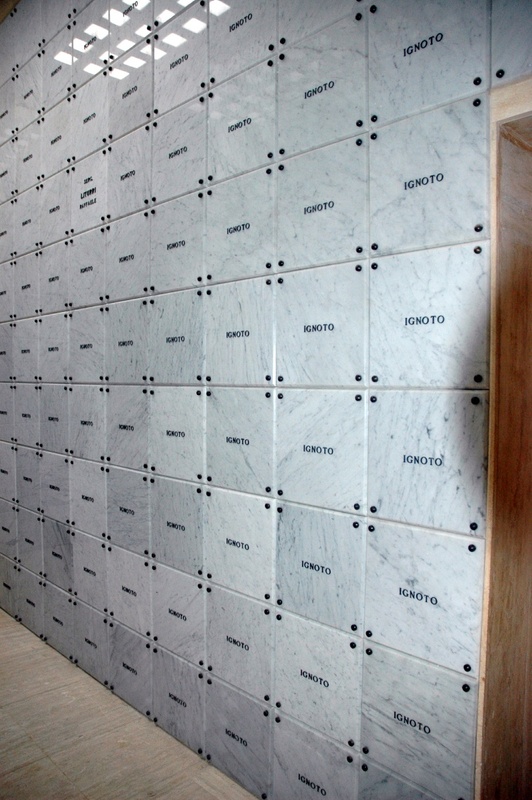 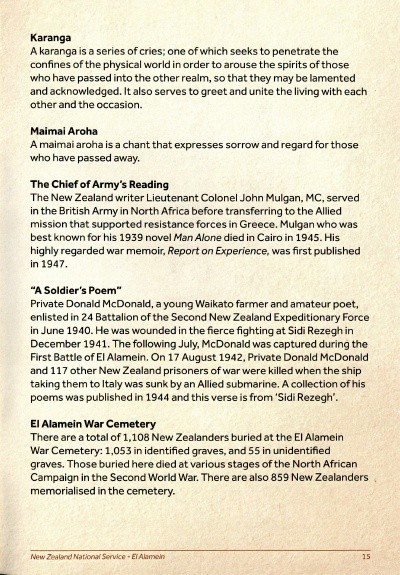 Of these, 1053 New Zealand men are buried in the cemetery and a further 859 are recorded on the commemoration panels in the entranceway. 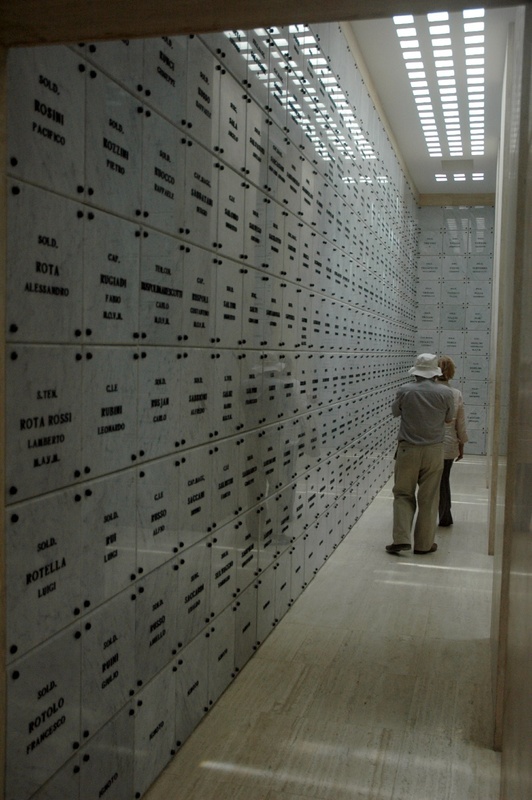 This the largest cemetery containing New Zealanders outside of the country itsself. 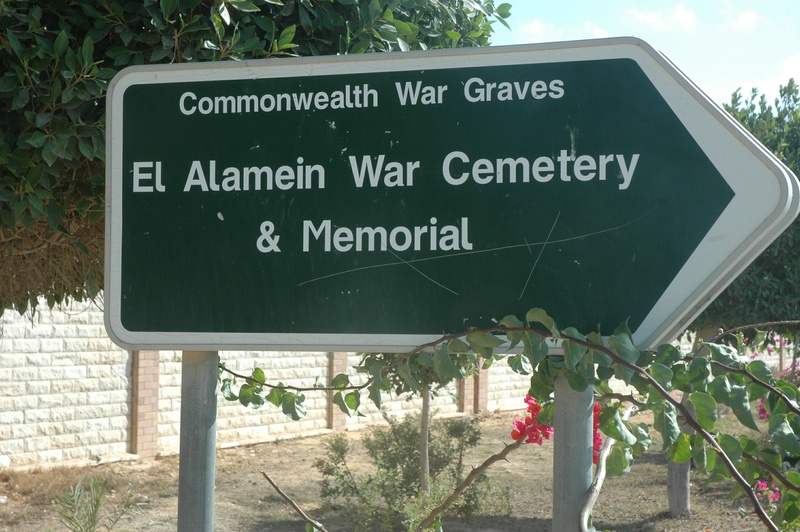 The cemetery is approached from a carpark, down a sloping path towards the entrance containing the commemoration panels. The Cross of Scarifice and Memorial Stone can be seen in the distance. 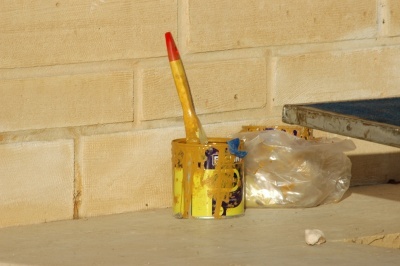 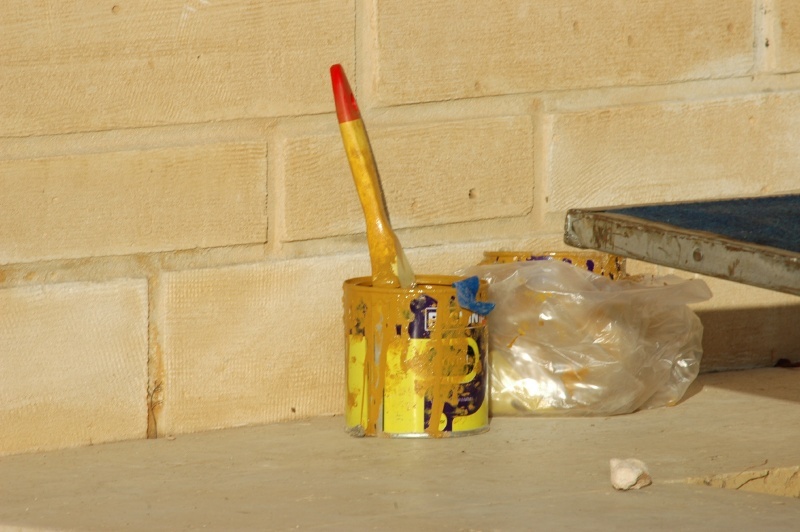 When we arrived early in the afternoon there were signs of final cleaning and tidying in perparation for the services, including a hasty repainting of the safety lines on the steps (the paint and brush had been left behind the steps...). 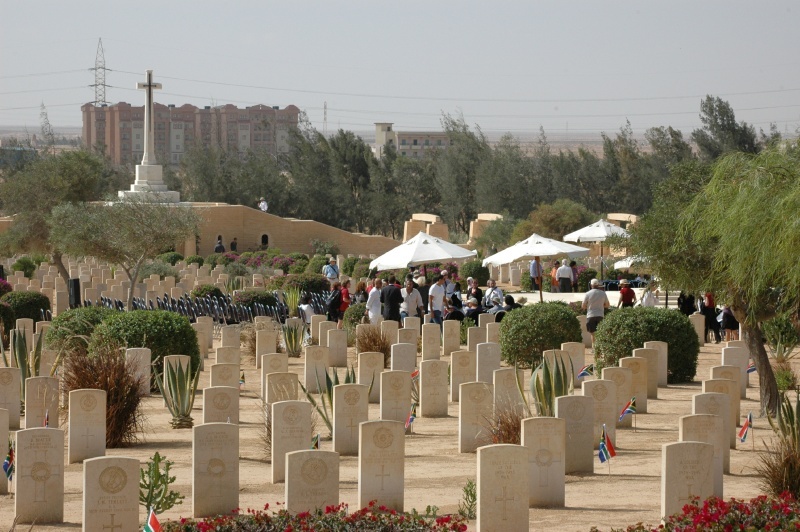 All Commonwealth war cemeteries that I have visited previously in France, Belgium, Italy, Britain and Egypt have been laid out with carefully manicured lawns with trees and flowers throughout graves. 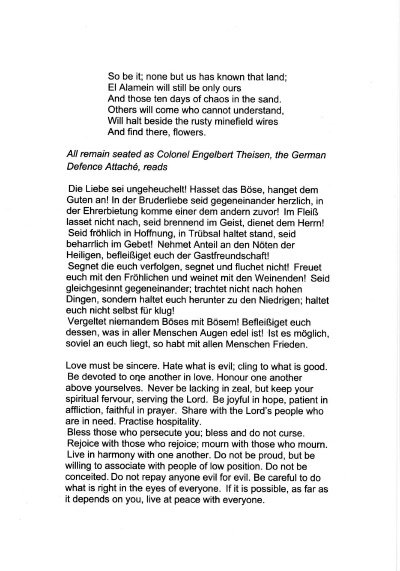 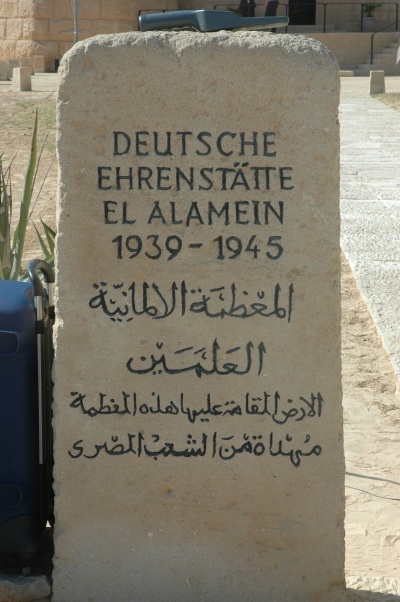 El Alamein immediately struck me by the absence of grass. 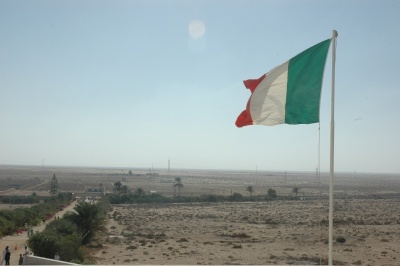 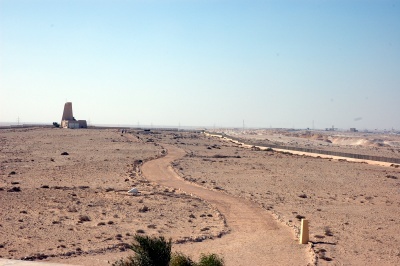 This is afterall part of the desert and water is scarce. 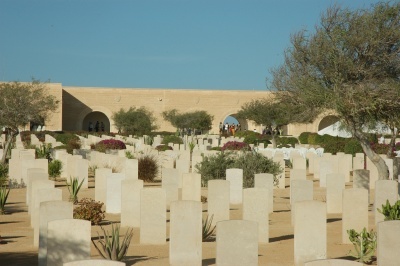 There are flowers near the entranceway but beyond that the graves are planted with succulents, olives trees and wattles. 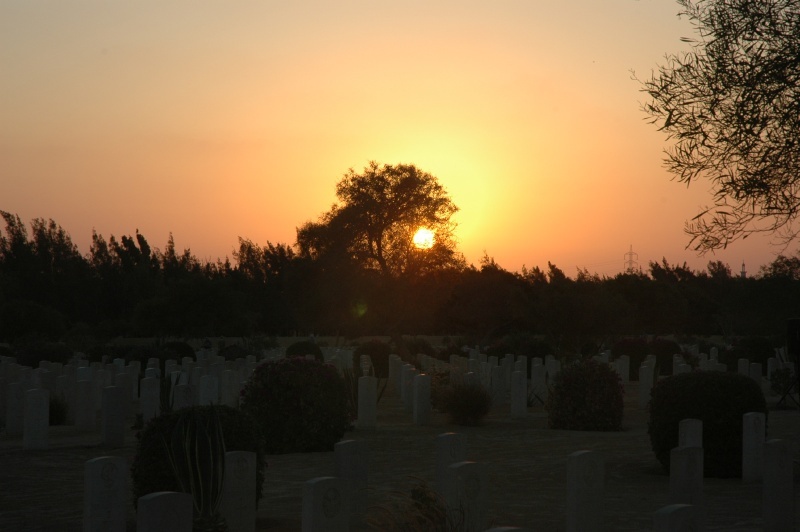 The trees are particularly welcome as a source of shade. 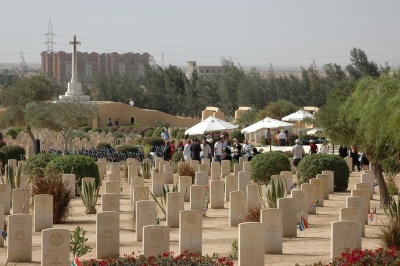 A rare shower of rain the day before our arrival had left the pathways clear of footprints - it gave me the impression that I was the first to visit some of these graves. And perhaps I was. 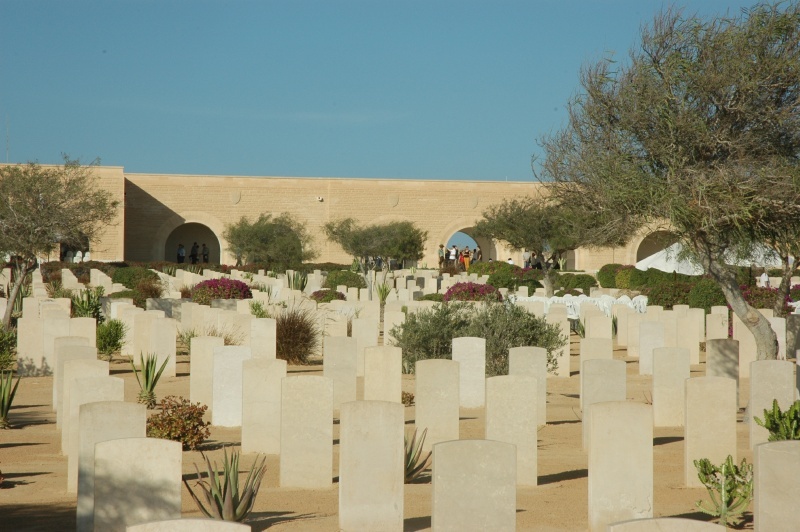 I had 37 men from the 22 Battalion to locate, photograph and pay my respects to. 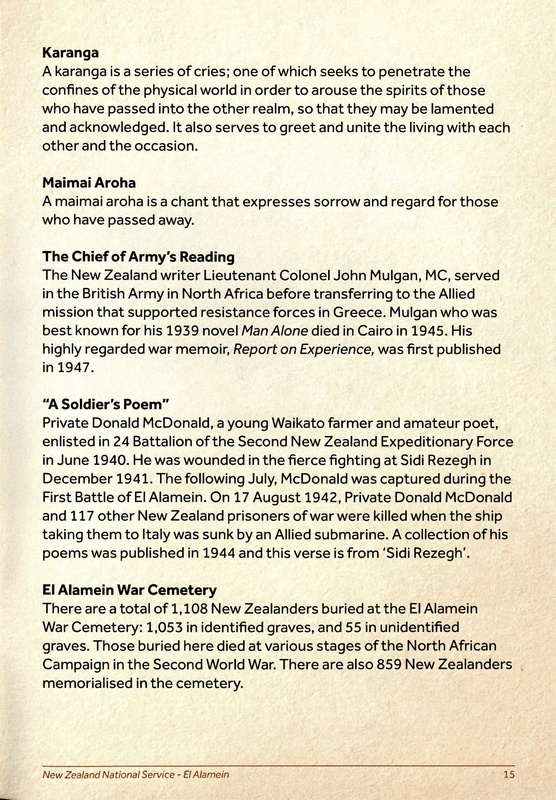 These men and my photographs of their headstones are recorded on another page. 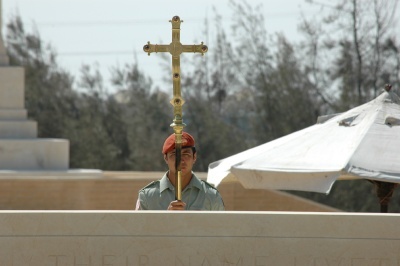 The Cross standing at the rear of the Cemetery. 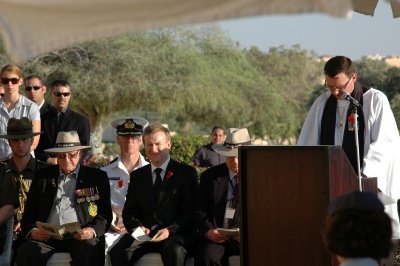 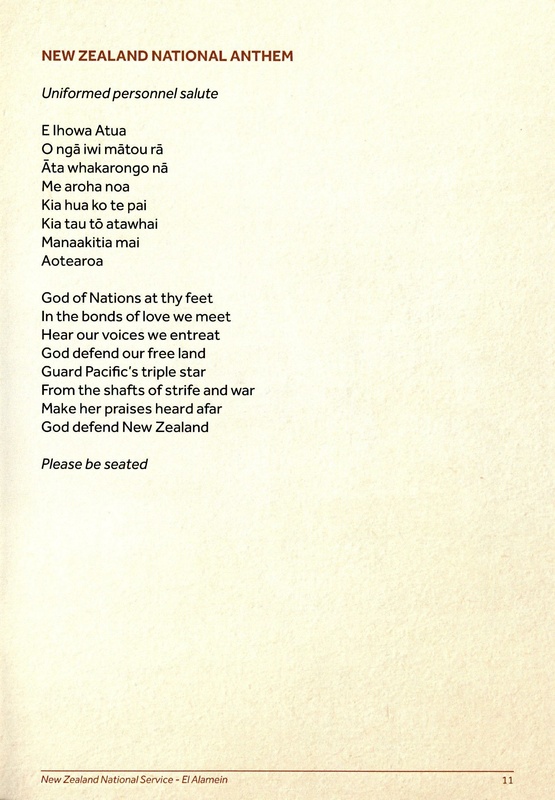 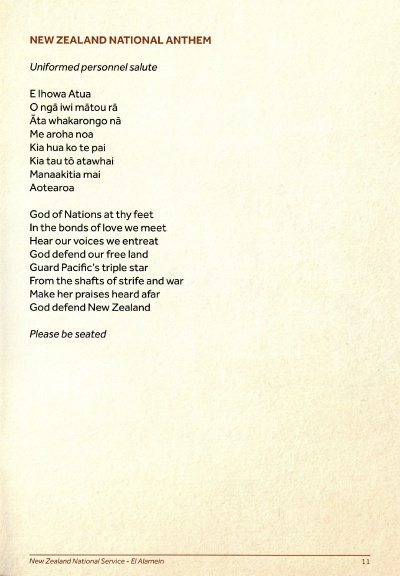 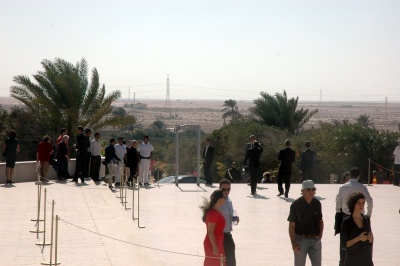 The New Zealand service was a small, intimate event, held close to the main entrance to take advantage of the seating and the shade offered by the foyer. 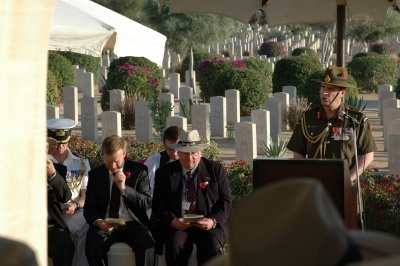 The service was timed for 4pm to gain some respite from the hot sun. The setting sun also cast a softened light and added a sense of poignancy as it dropped below the trees and headstones. 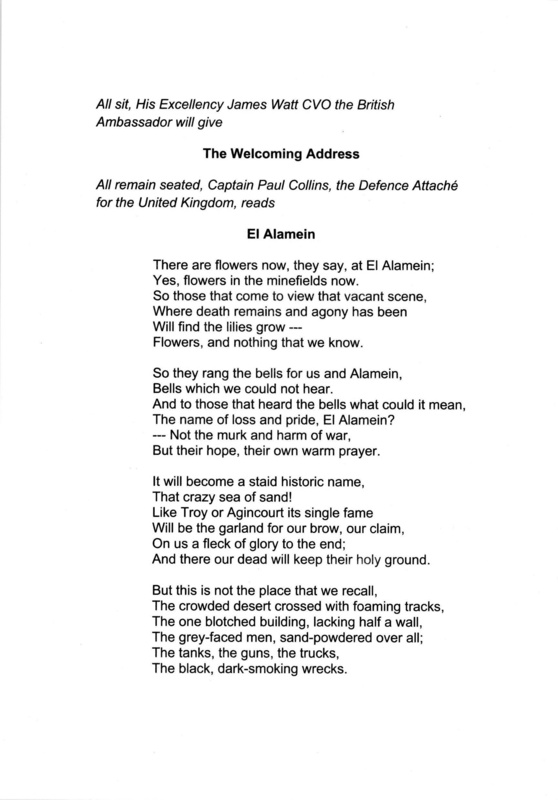 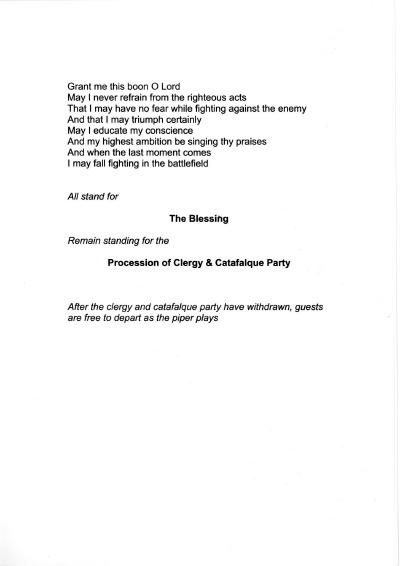 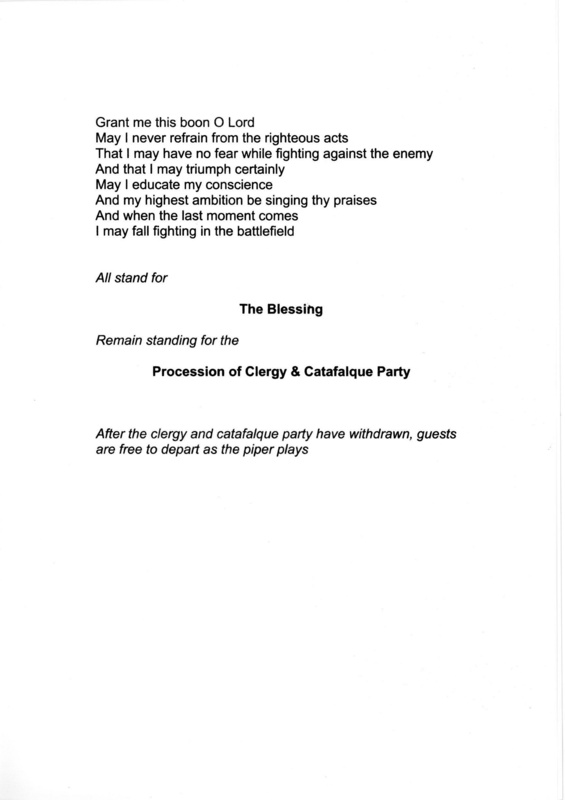 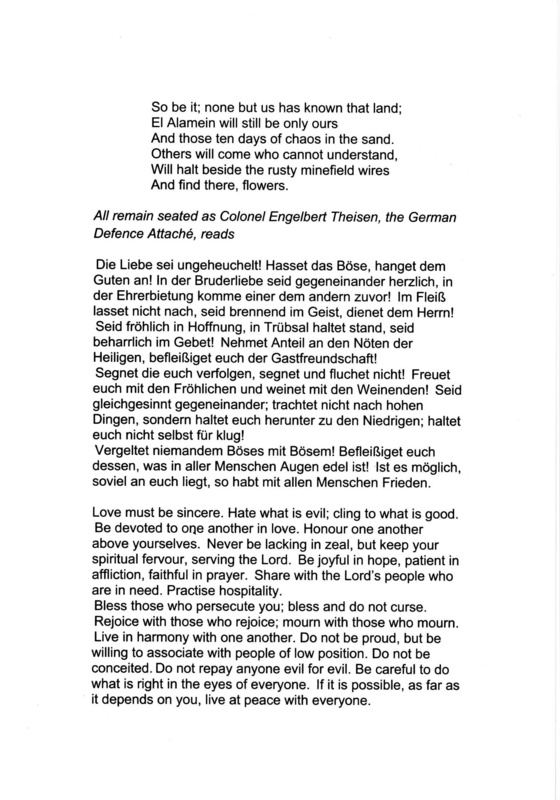 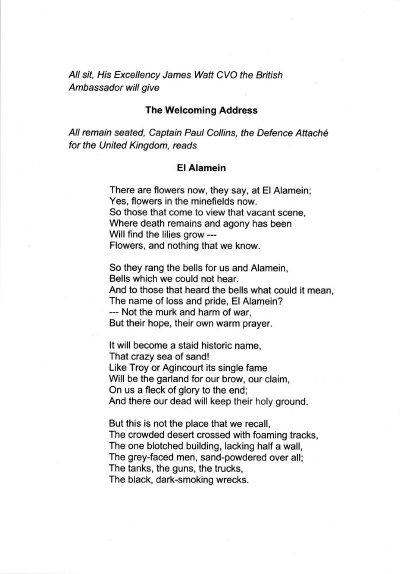 Singing "Now is the Hour"
Close to the Commonwealth Cemetery lies the Alamein Railway Station. 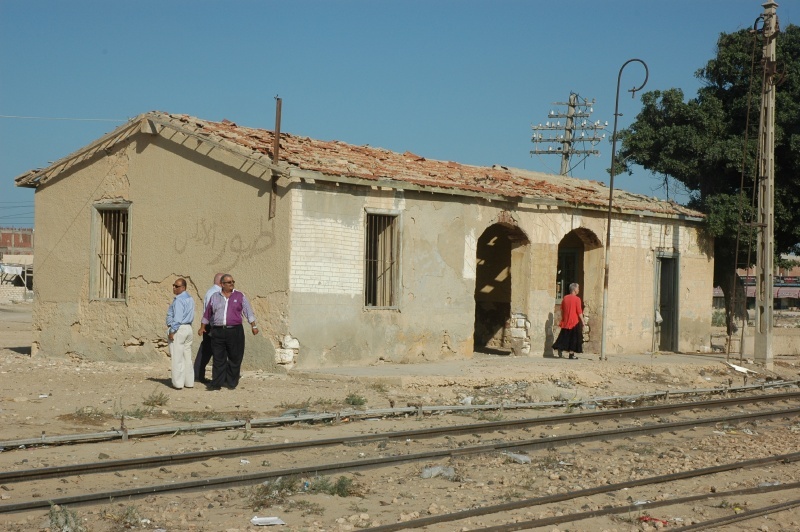 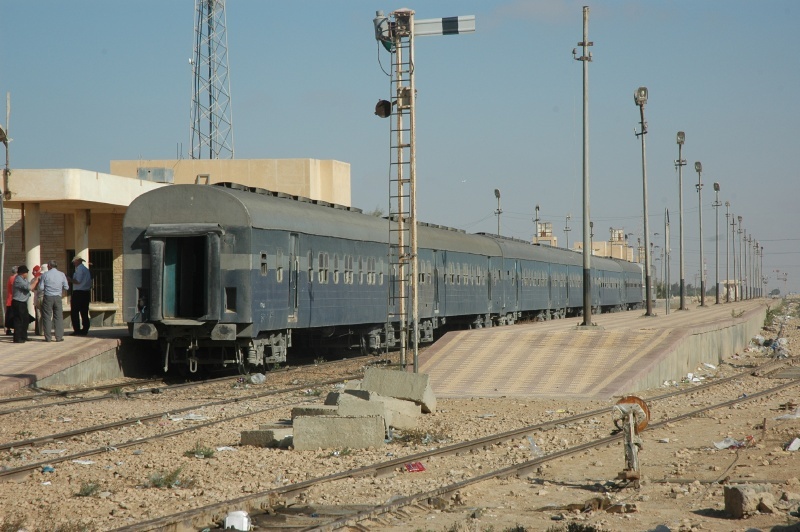 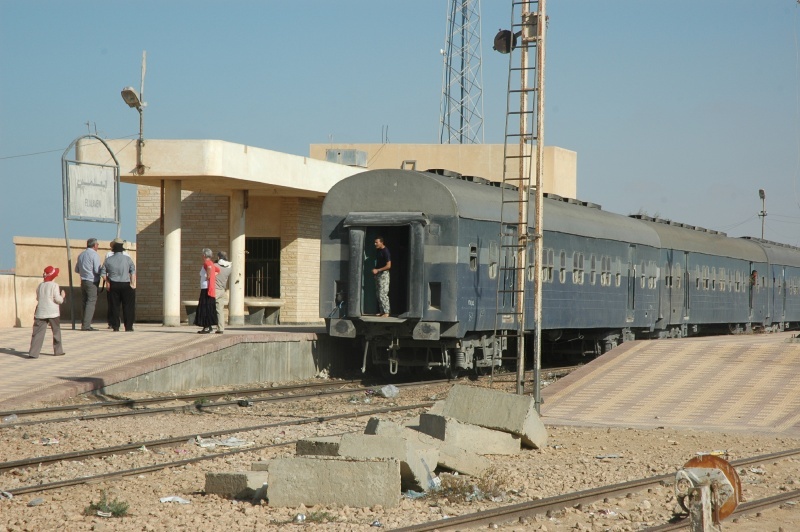 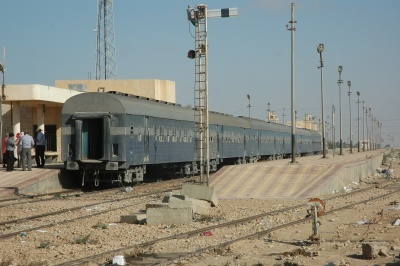 This station was used by troop trains bringing emn and supplies up from Alexandria to reinforce the New Zealand Division at Elamein. 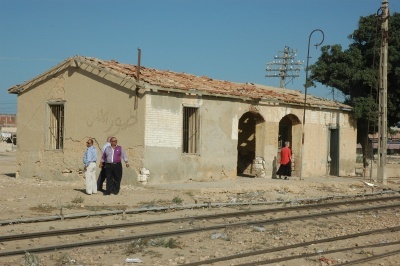 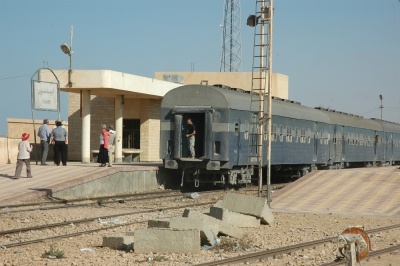 The old station is till tere, dilapidated and unused. 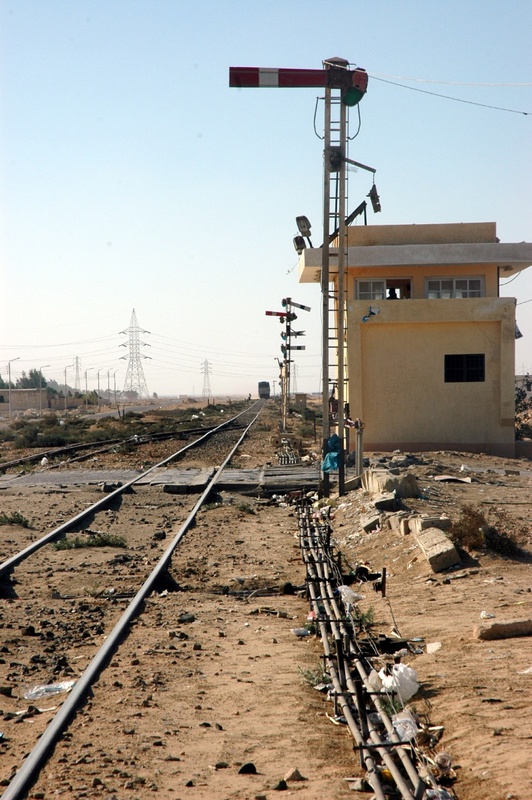 A new(er) station has been built nearby. 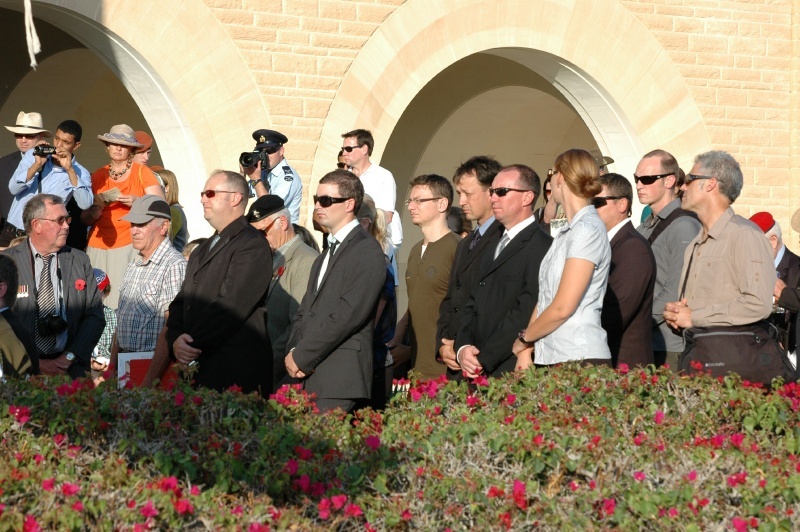 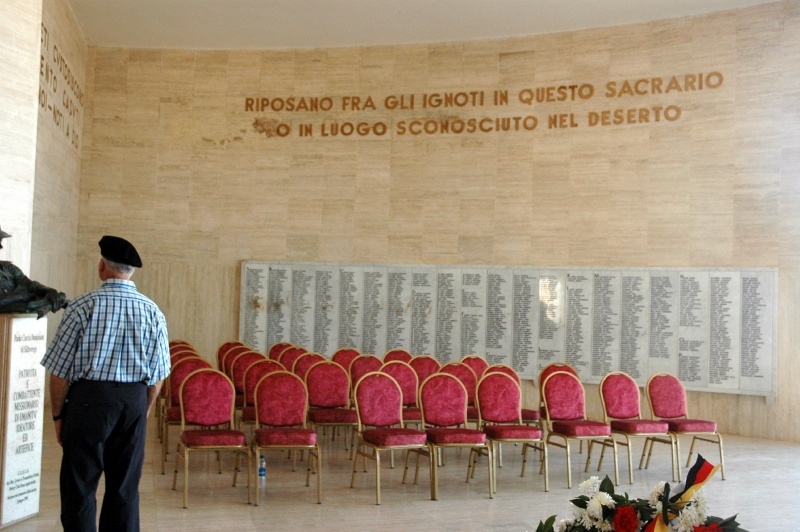 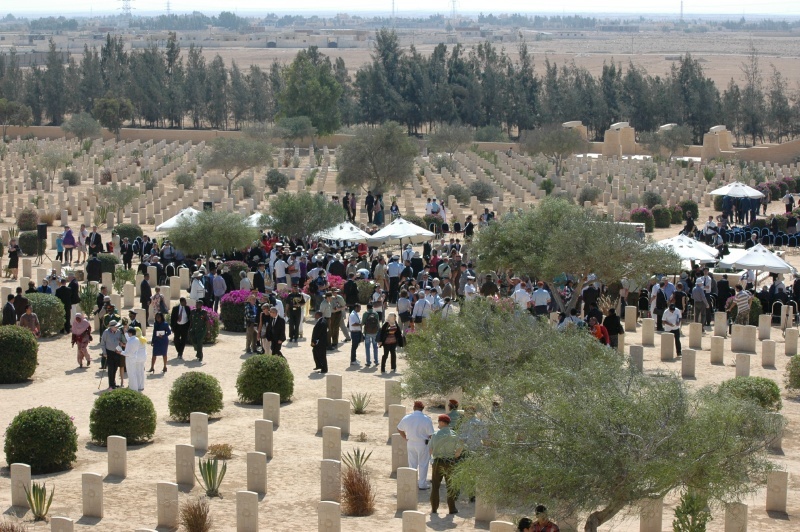 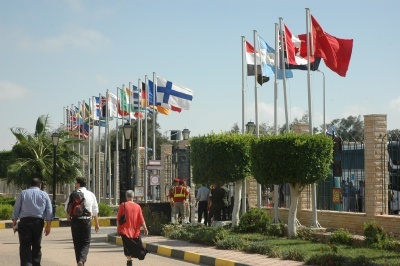 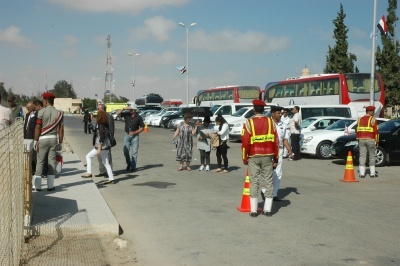 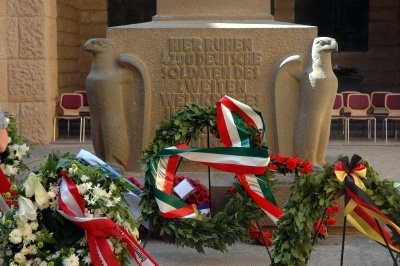 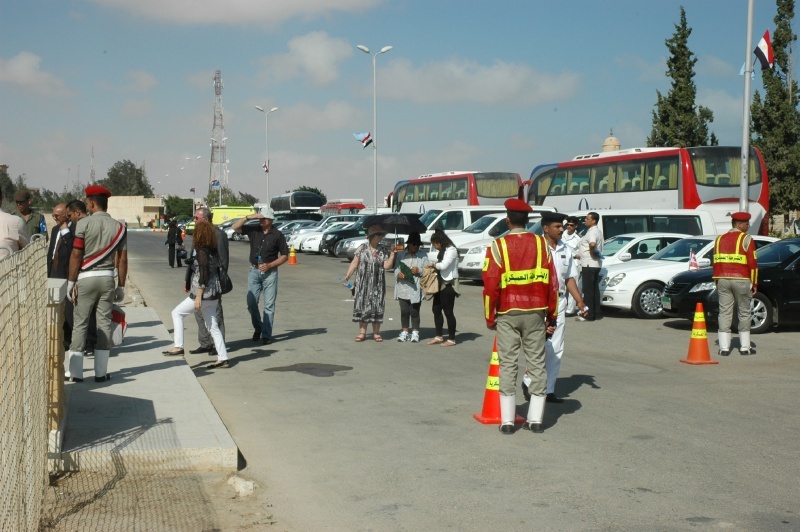 The International Commemoration was held the next day, Saturday 20th October. 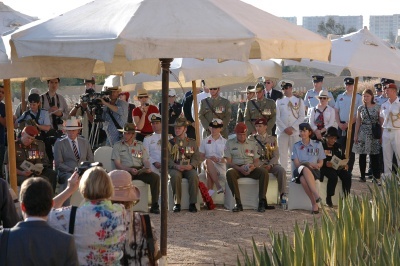 This was a large event attended by several hundred people from a large number of countries. 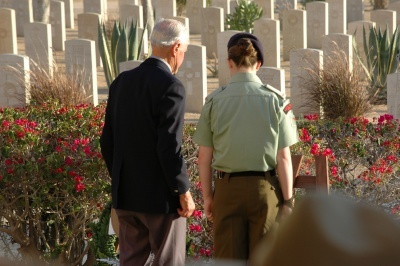 Unlike the previous day, when we New Zealanders were the only people in the cemetery, today saw a large security presence. 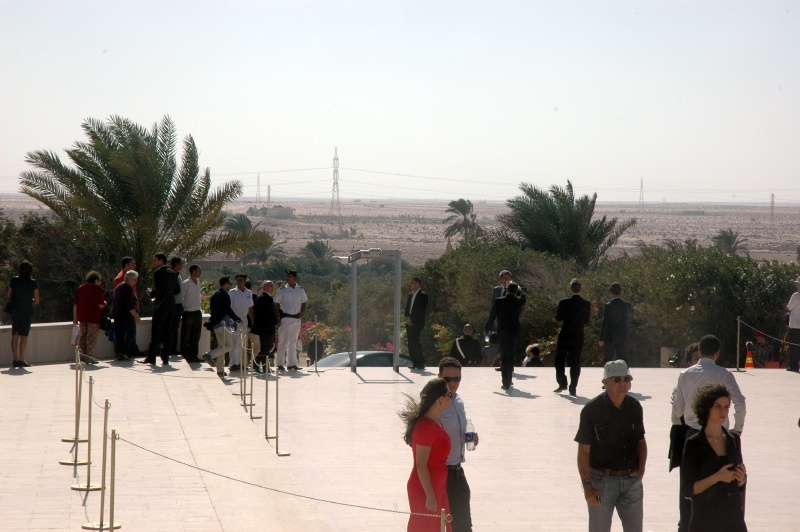 Armed police and other security people and the ubiquitious metal detector at the gate. 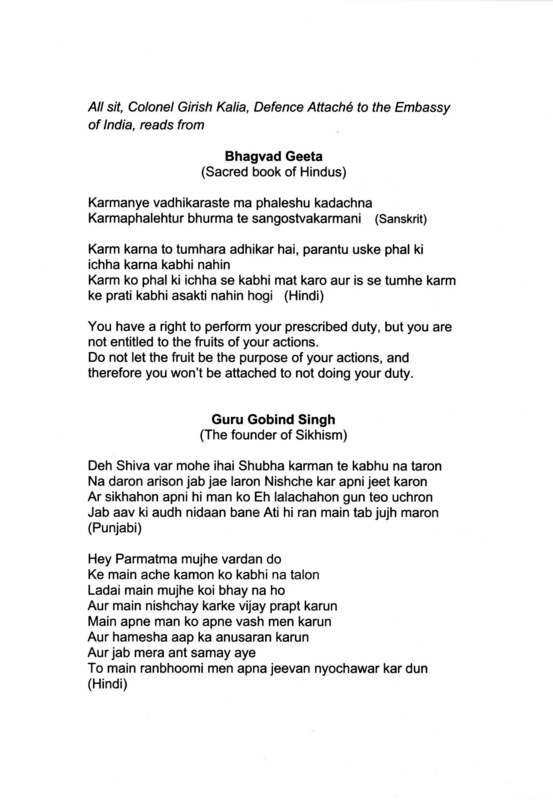 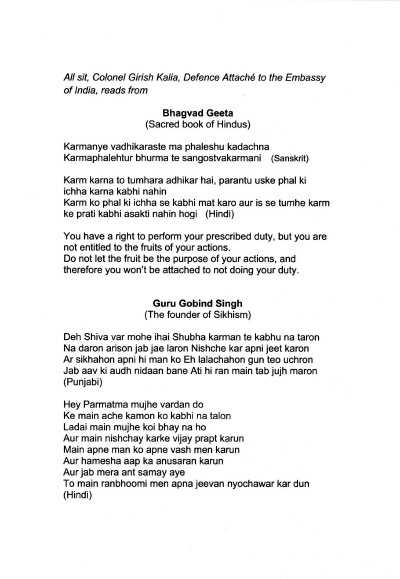 Not unreasonable in a region that has seen indiscriminate acts of violence in the recent past. 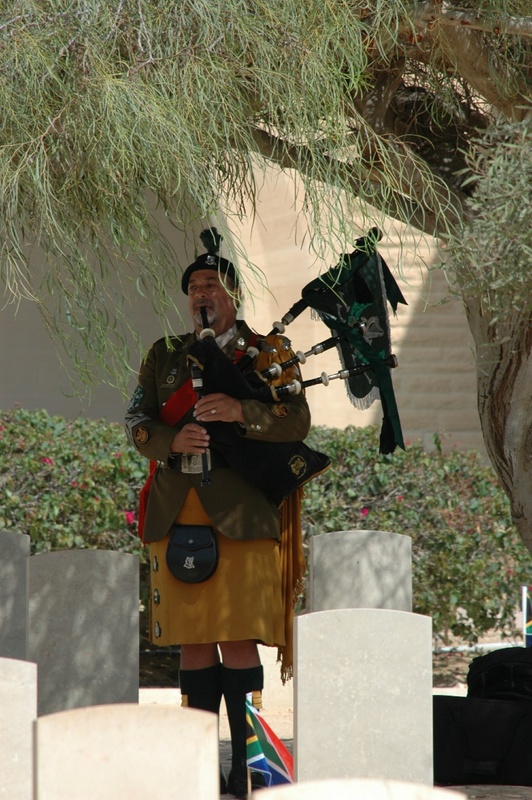 and a wreath in a kilt, than turned into the piper. 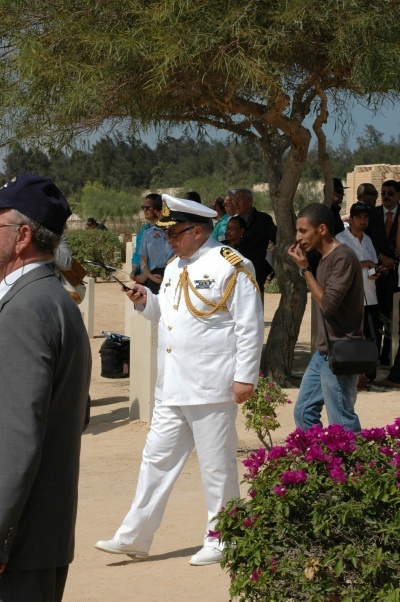 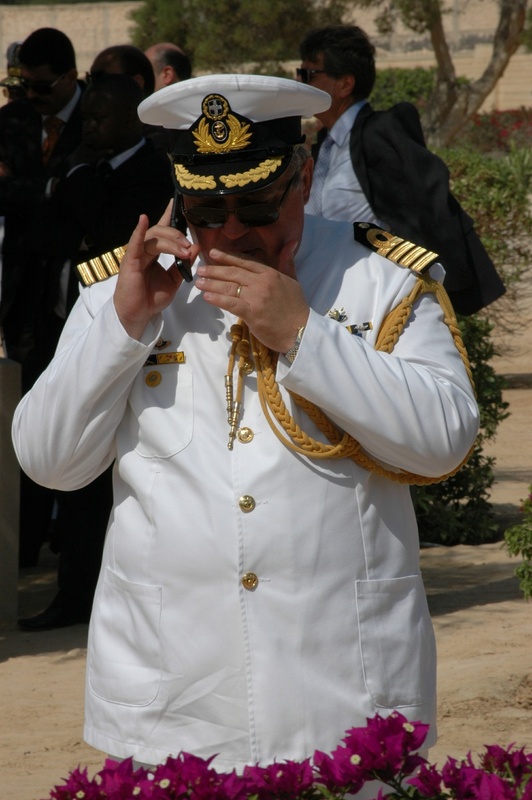 The Egyptian Navy was well controlled throughout. 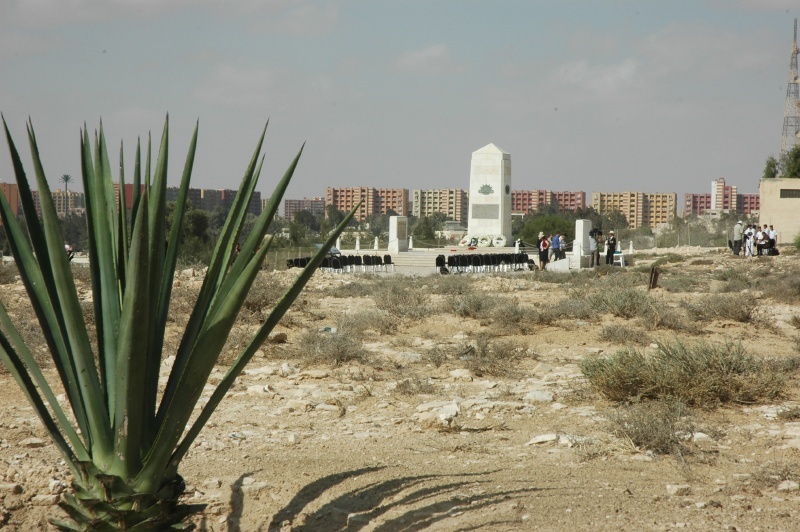 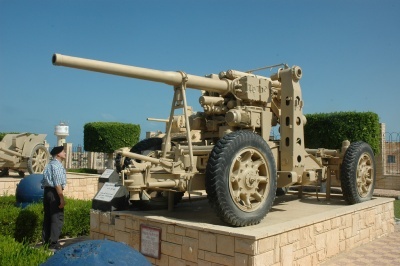 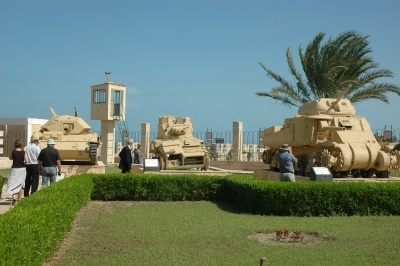 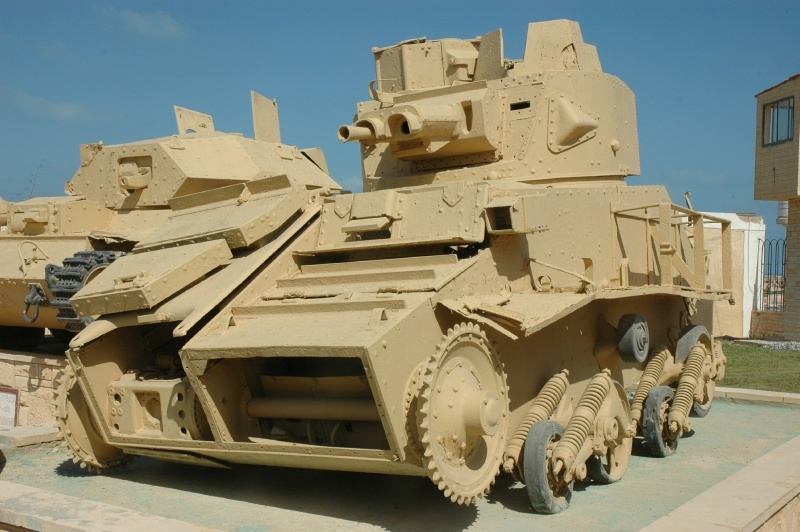 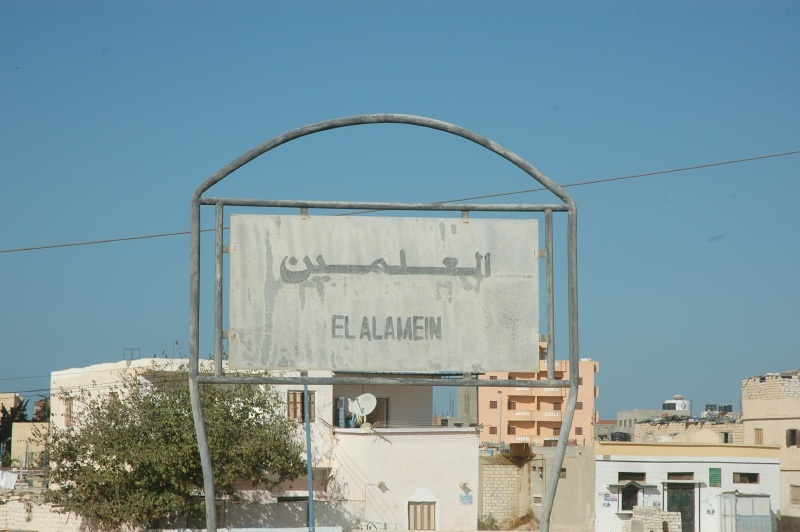 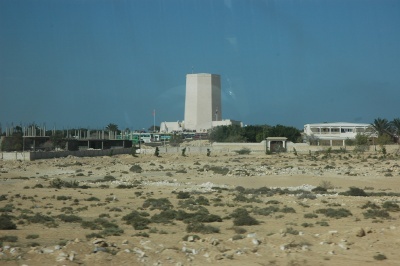 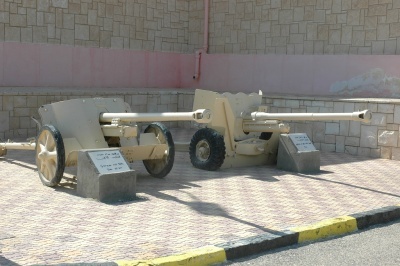 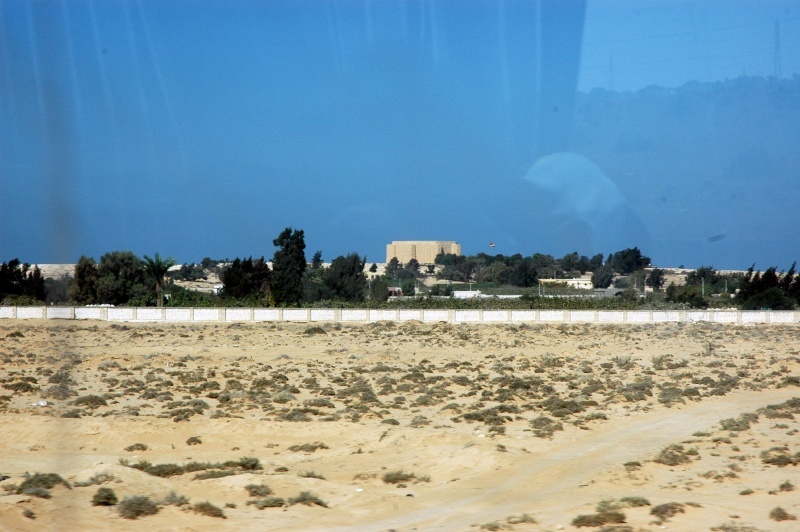 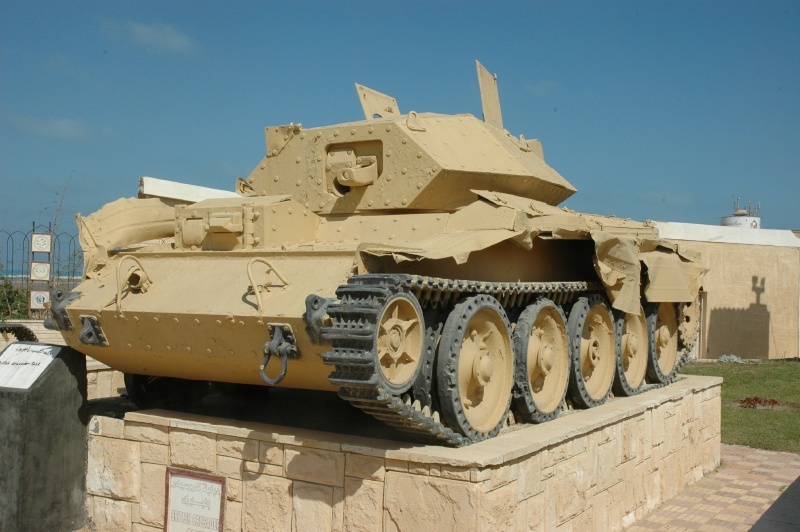 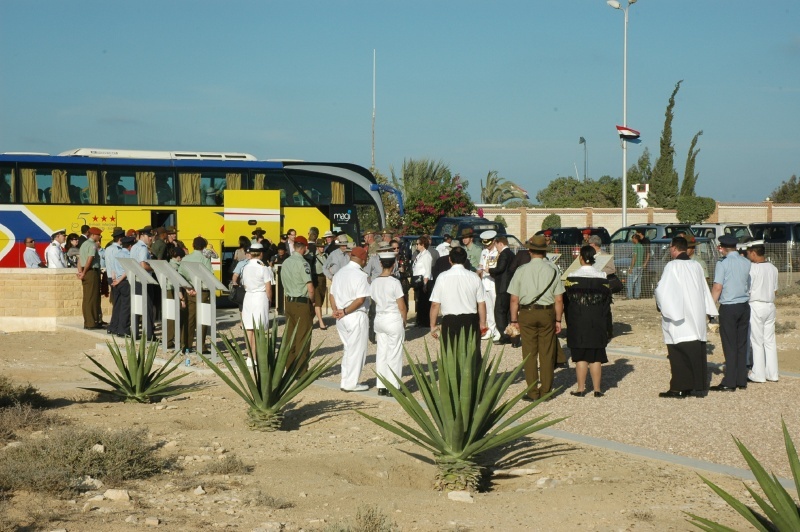 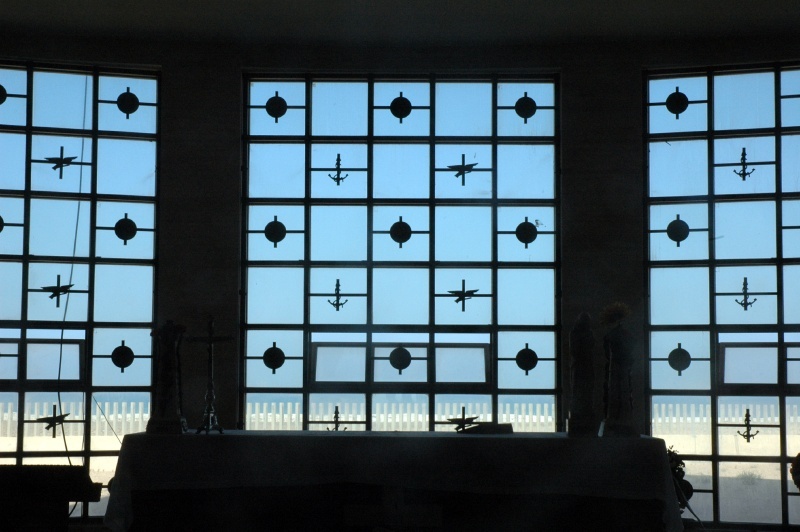 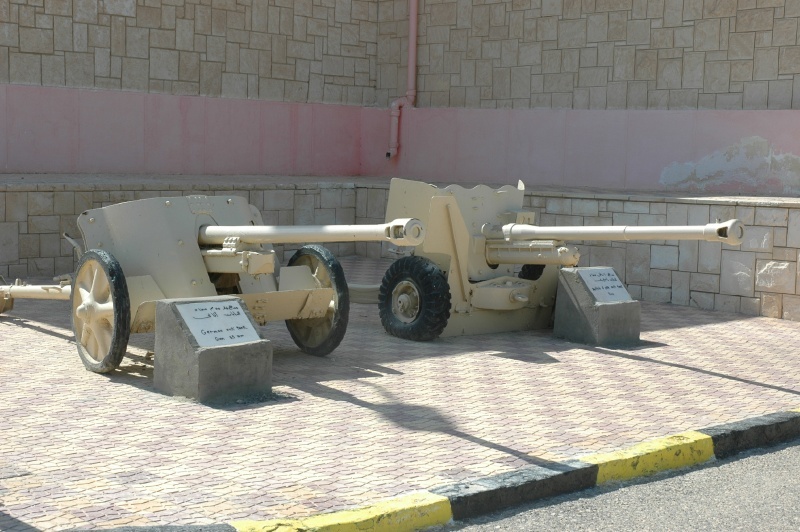 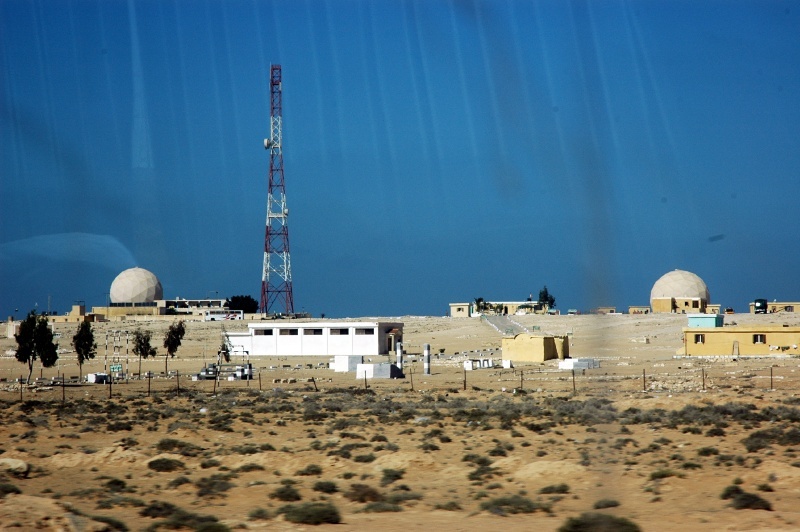 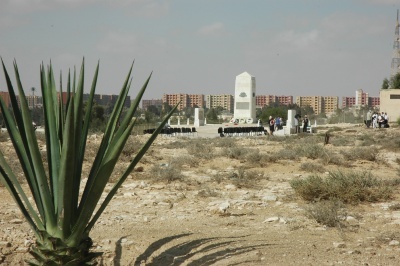 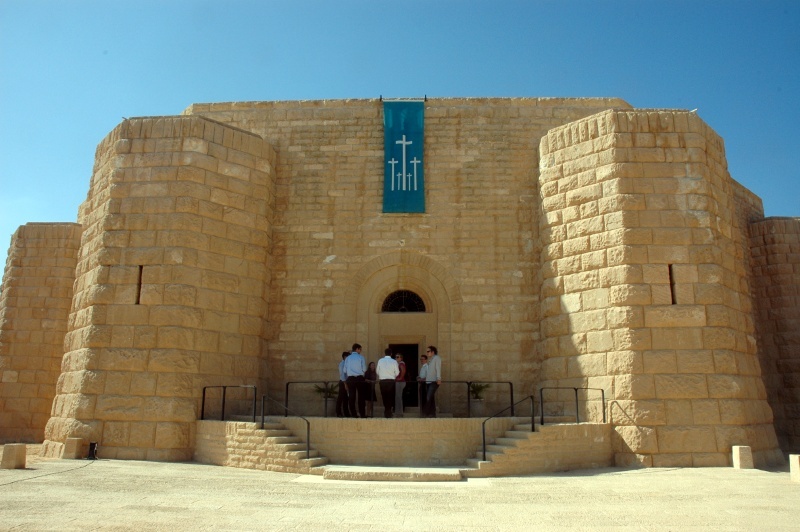 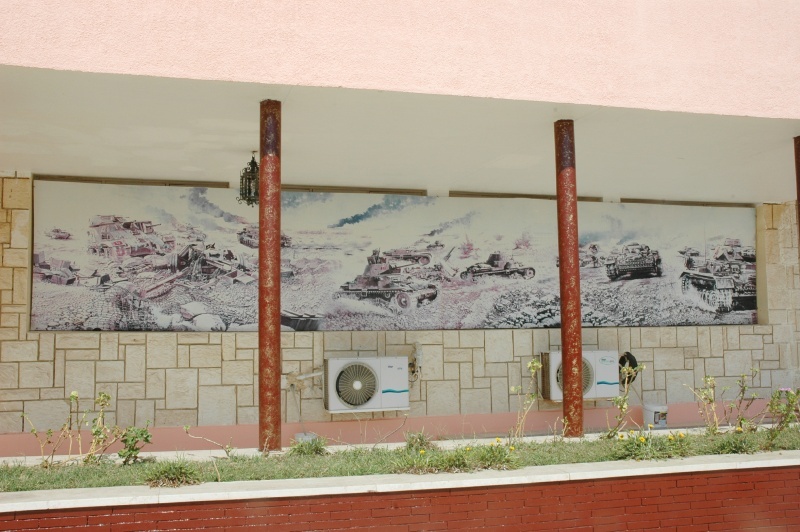 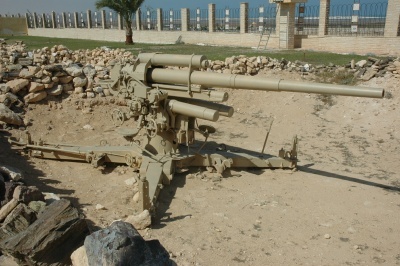 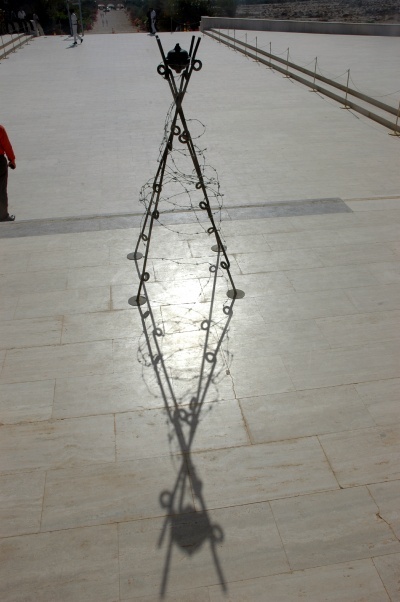 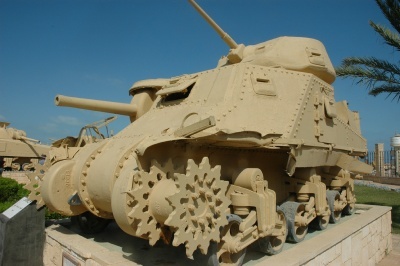 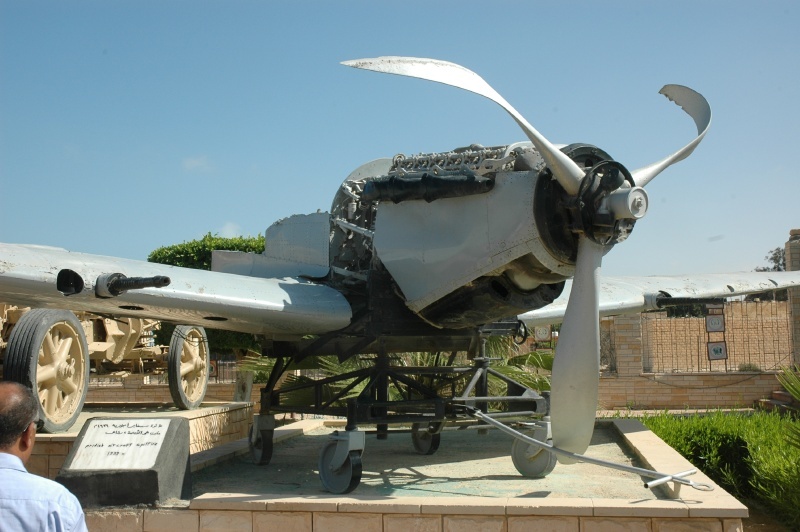 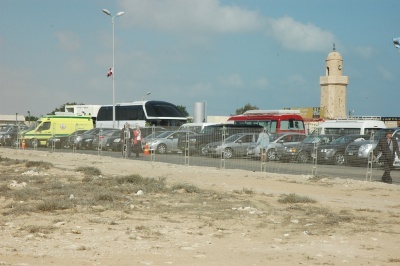 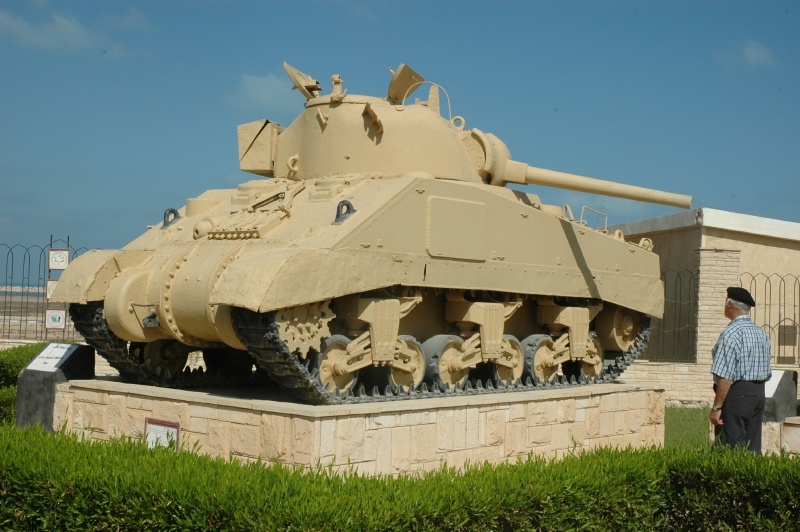 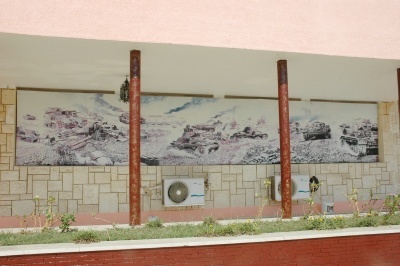 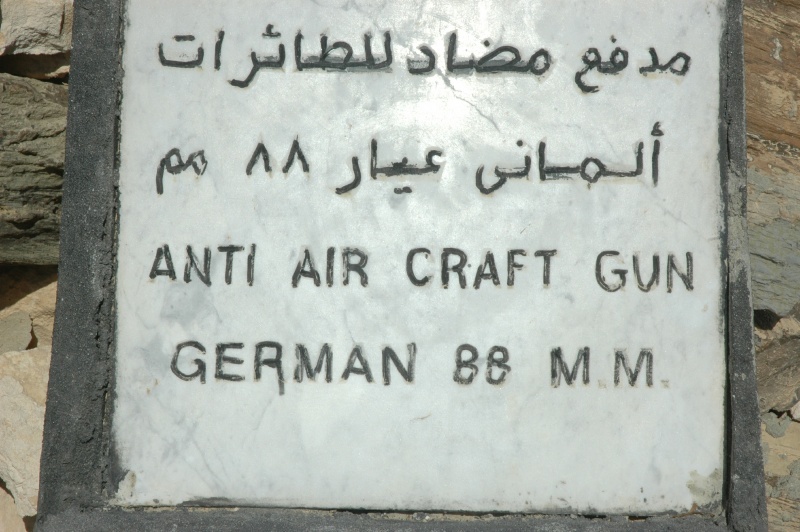 Close to the Cemetery lies the El Alamein War Museum, containing an outside grqveyard of military wrecks and relics. 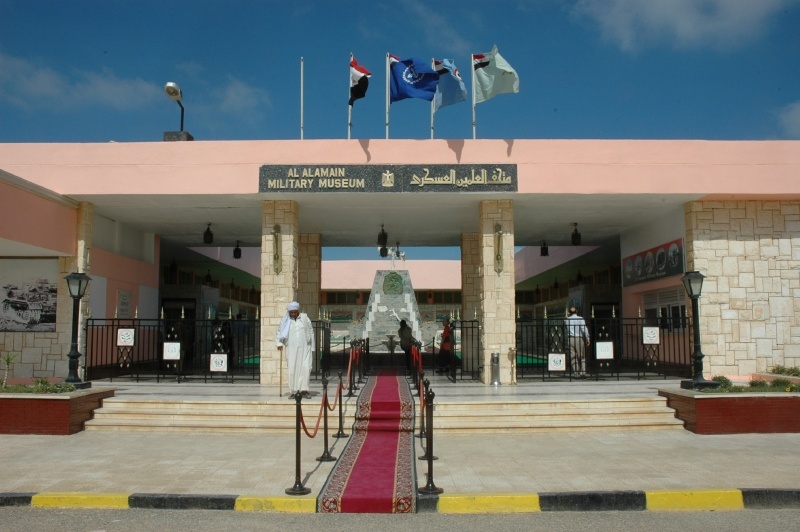 Inside are some excellent displays about the battles in the desert, and a whole wing on the role played by the glorious Egyptian Army. 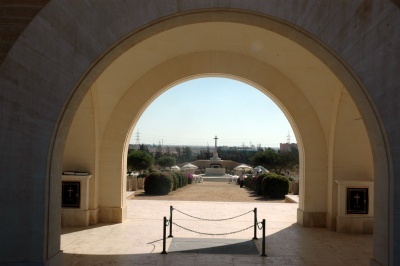 Several kilometres to the west lie the German and Italian war memorials. They are close to the coast and appear to be in positions close to the furtherest advance of these forces. 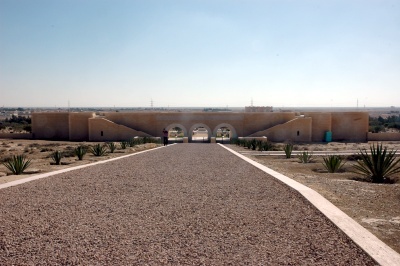 Both buildings are of striking design. 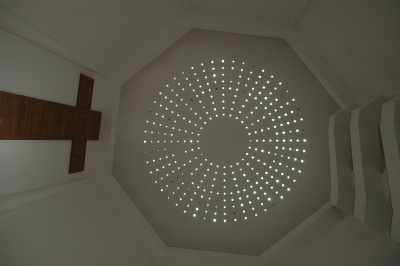 The German one is a circular tower with an open courtyard. 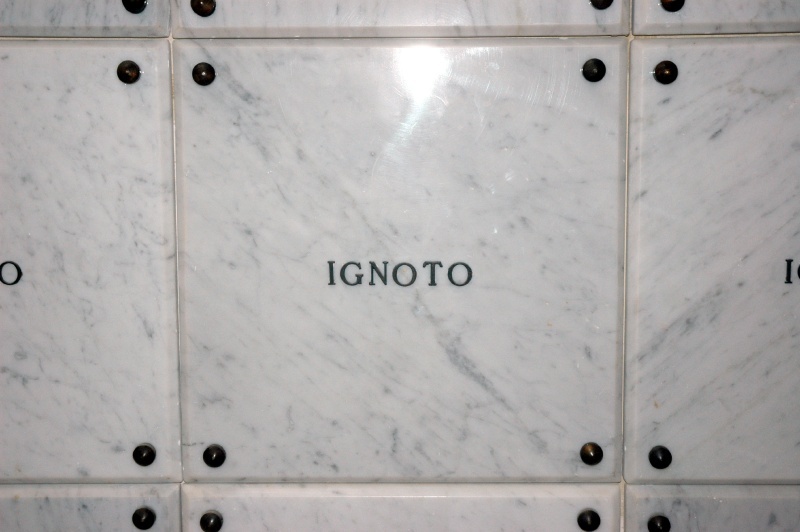 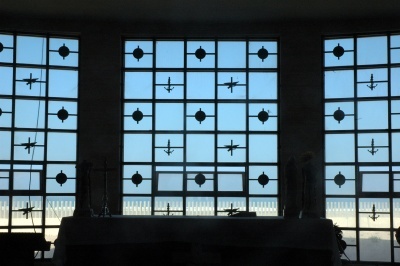 The Italian one has a high vaulted ceiling similar to a cathedral, a memorial window facing the Mediterranian Sea (and Italy) and annexes of filled with ossiaries - the remains of many Italian soldiers, many simply "Incognato".